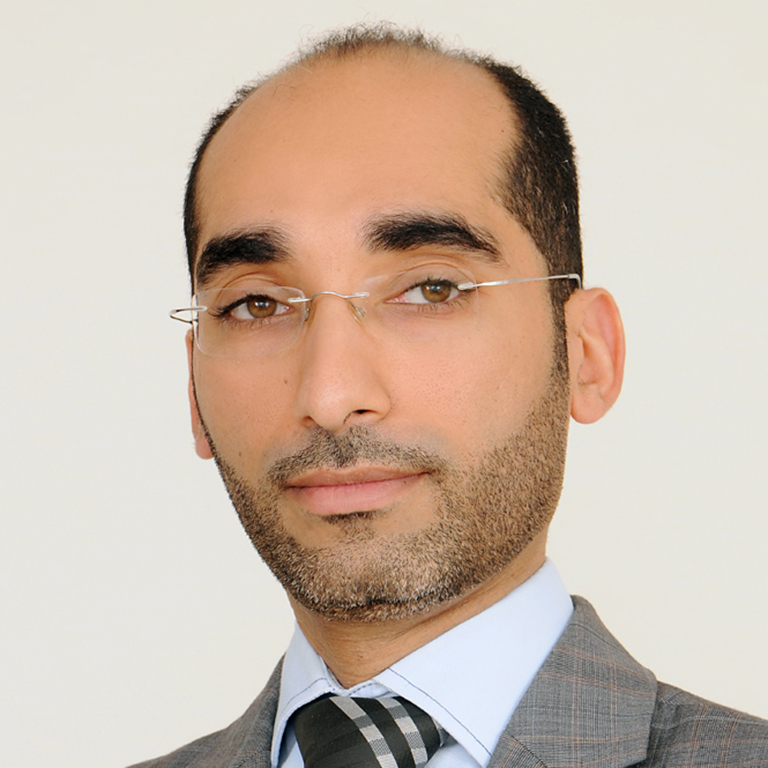 Ahmed Al Rayes is an experienced investment professional and proficient leader. He has more than 16 years of investment and management experience, having held senior roles in a number of leading regional financial institutions and corporates, where he was engaged in Islamic banking, investment, analysis and engineering. 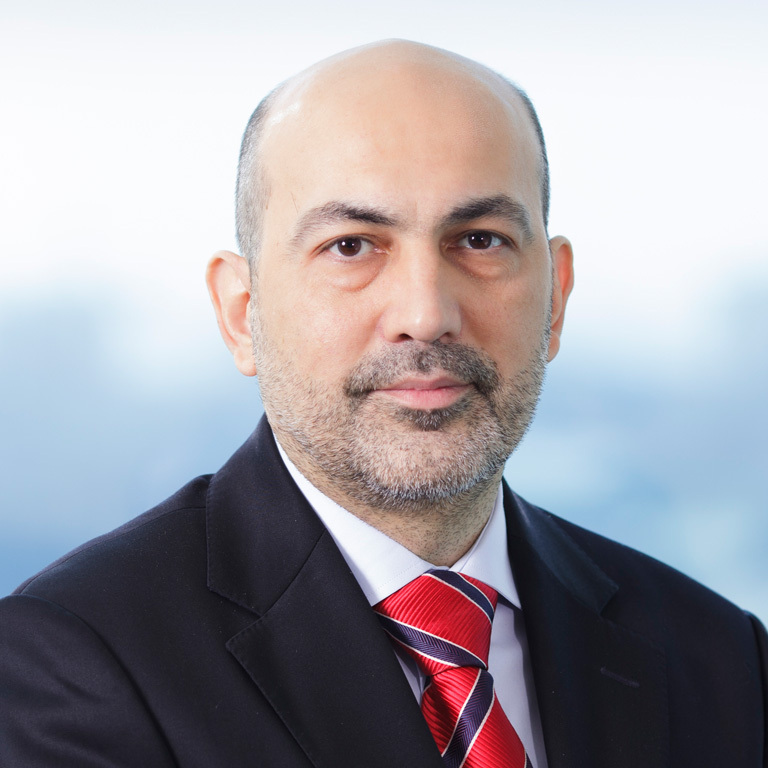 Prior to joining Ibdar in June 2015 as Chief Investment Officer (CIO), Al-Rayes was the Head of Academic, Islamic Finance and Quality Assurance at the Bahrain Institute for Banking and Finance (BIBF) and previously Vice President Private Equity at PineBridge Investments, and Investment Manager at Bahrain Mumtalakat Holding Company, the investment arm of the Kingdom of Bahrain. He was nominated as the Acting Chief Executive Officer of Ibdar Bank in September 2015 and was responsible for the overall performance and strategic direction of the Bank until April 2016. 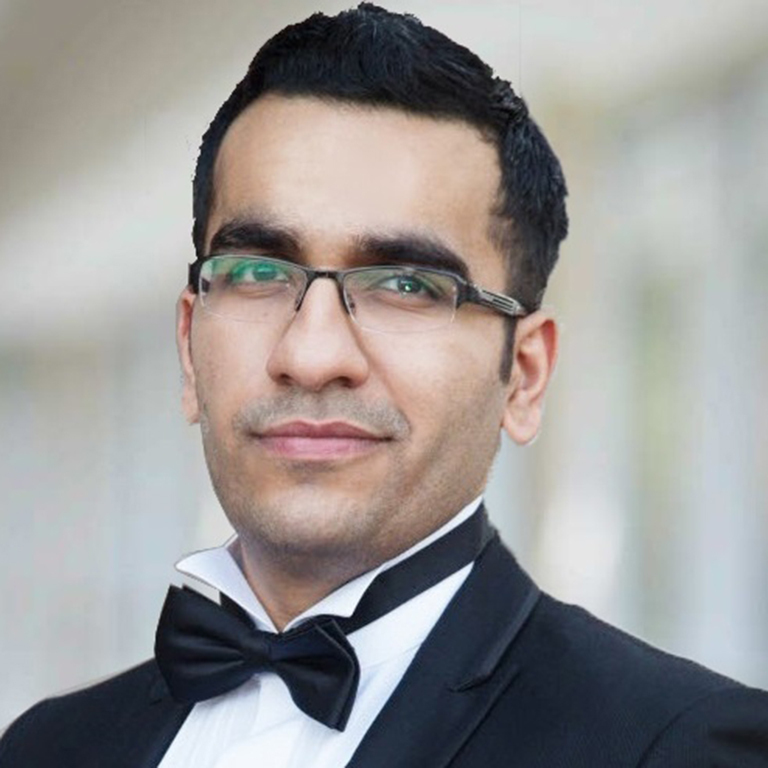 Ahmed holds a BSc in Mechanical Engineering from the University of Bahrain, and an MBA from the University of Strathclyde in Glasgow, Scotland. Ahmed is the Group CIO of at Al Baraka Banking Group. He is also the Chairman of Digital and Cybersecurity Committee of Bahrain Association of Banks. 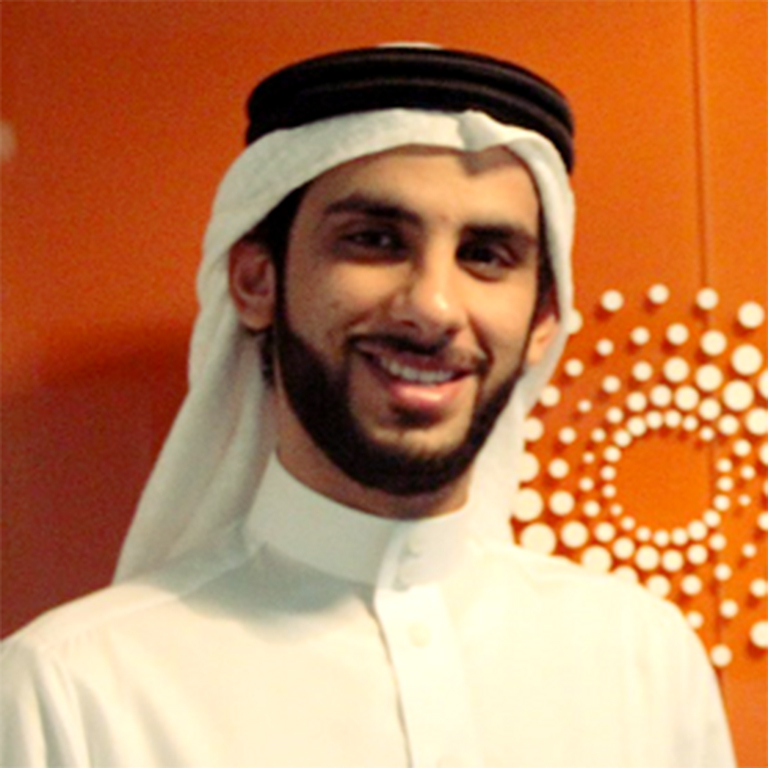 Ahmed has extensive experience in the field of IT gained while working in government, private and banking sectors. Holder of MBA from Manchester Business School and holder of a bachelor degree in IT from the University of Canberra in Australia. Ahmed is also certified in information system auditing (CISA) and information security management (CISM) and governance of enterprise IT (CGEIT). His area of expertise focus on IT Leadership, IT Strategy, IT Governance, Information Security, Digital Banking, Fintech and IT skills development. Ahmed is a frequent speaker at international conferences and forums. 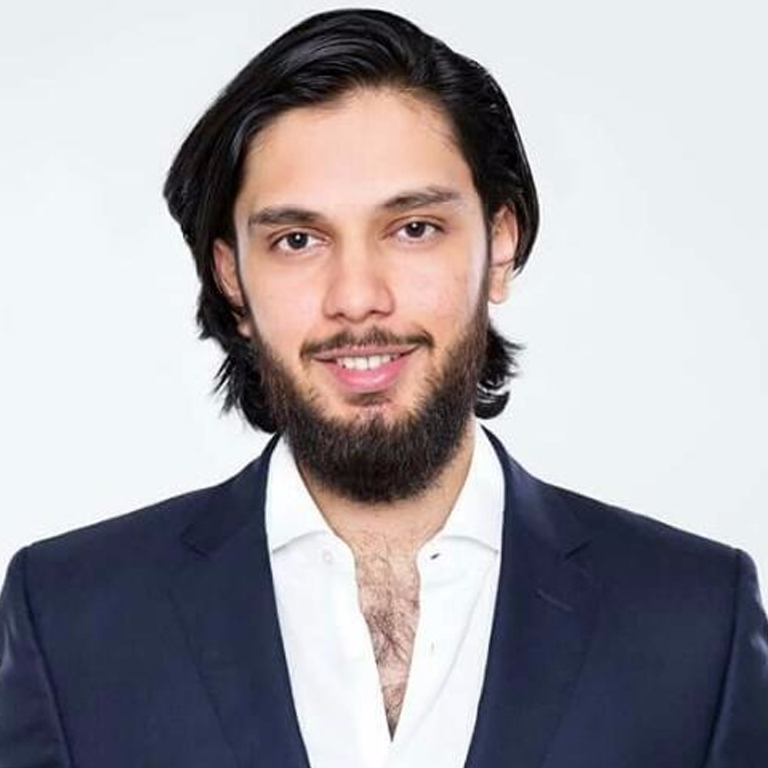 Ahsan is responsible for the global Islamic Origination business at Standard Chartered Bank, which comprises all the Islamic structured transactions (including Sukuks, Syndications, Project & Export Finance, Shipping & Aviation, Structured Trade Finance, Corporate Advisory and Financial Markets). Since joining SCB in March 2004, Ahsan has built this business from inception and has led several award-winning and industry-defining deals. 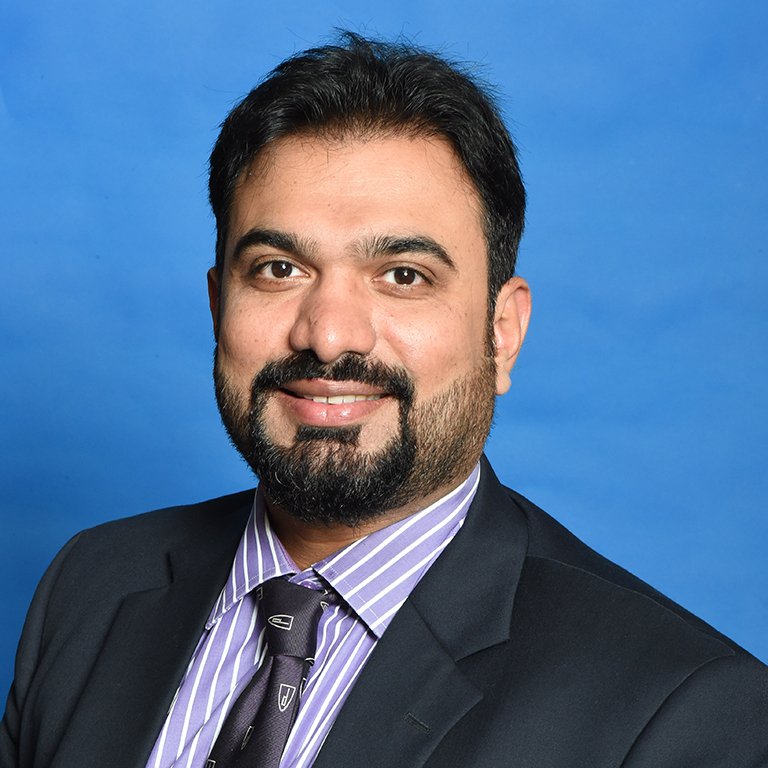 Ahsan has over 24 years of experience in corporate and investment banking. Prior to joining SCB, he worked with Citigroup in Dubai. Ahsan holds an MBA from the Indian Institute of Management, Calcutta and a degree in mechanical engineering from Indian Institute of Technology, Delhi, in addition to a CFA designation. Dr Aishath Muneeza is among the key founders of Islamic finance in Maldives, a small island nation with a hundred percent Muslim population. She has experience in multiple aspects of Islamic finance industry. She is a shariah Advisor, an Islamic Finance Consultant, a researcher, a presenter, a regulator, a speaker, a trainer, an Associate Professor and an attorney who is actively involved in promoting Islamic finance. She is the driving force behind the establishment of Maldives Hajj Corporation, the Tabung Haji of Maldives and she has facilitated the establishment of more than ten financial institutions offering Islamic finance services. She structured the first corporate sukuk offered in Maldives and she also structured the Islamic Treasury Instruments for the government of Maldives. The Islamic Capital Market framework of Maldives has been shaped under her guidance and the legal framework of Islamic Capital Market in Maldives was developed by her. She has published numerous books on Islamic finance, available in all major bookstores across Malaysia and she is the first to publish comprehensive books on Islamic finance in Dhivehi language. She is the co-author of the winning essay of the worldwide Islamic finance essay competition organized in Kuala-Lumpur Islamic Finance forum (KLIFF) of 2010. She had won gold and silver medals in international research exhibitions for research conducted on disciplines related to Islamic banking and finance. Her contribution to Islamic finance industry has been recognised internationally and has been conferred several awards of recognition. She has received the prestigious “Rehendhi Award” highest award for women, conferred by the government of Maldives for her contribution in the development of Islamic finance industry. 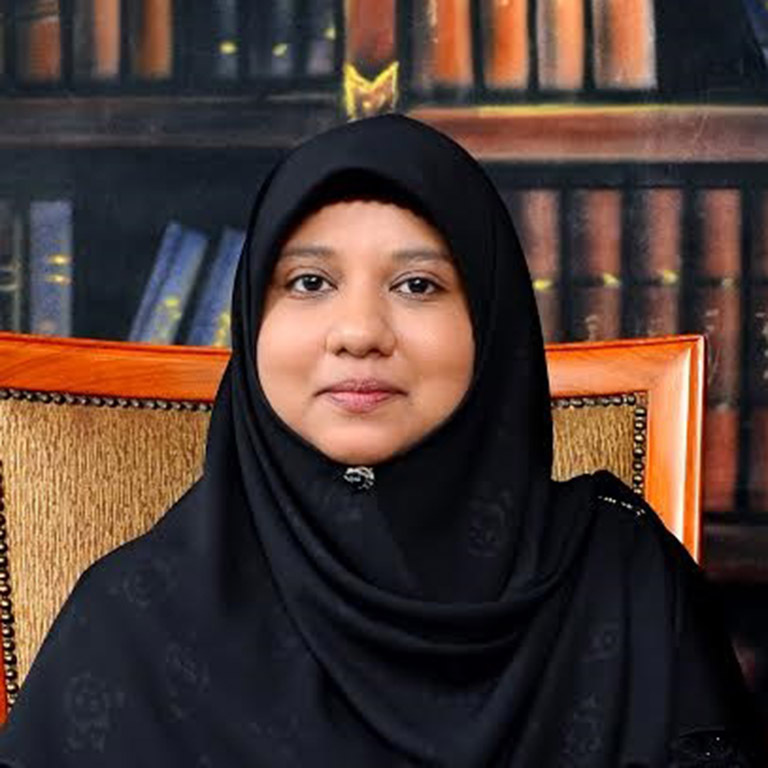 Currently she is an Associate Professor at INCEIF & the chairwomen of Maldives Centre for Islamic Finance that was set up by the government of Maldives to position the country as the hub of Islamic finance and Halal industry in the South Asia region. 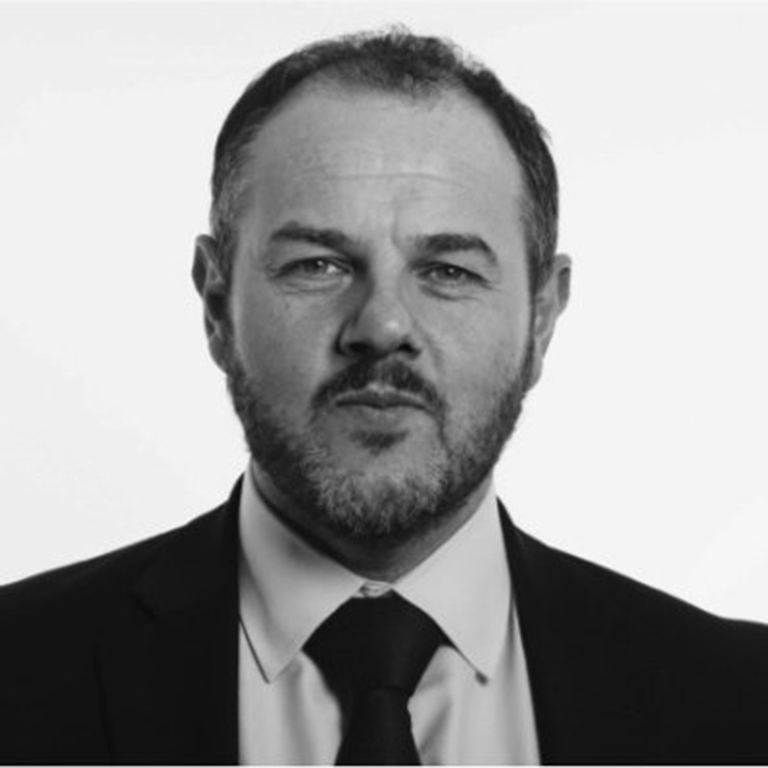 Andrew Sims is a Director and the Chief Executive Officer of NEC Payments – a Middle East payments technology company. 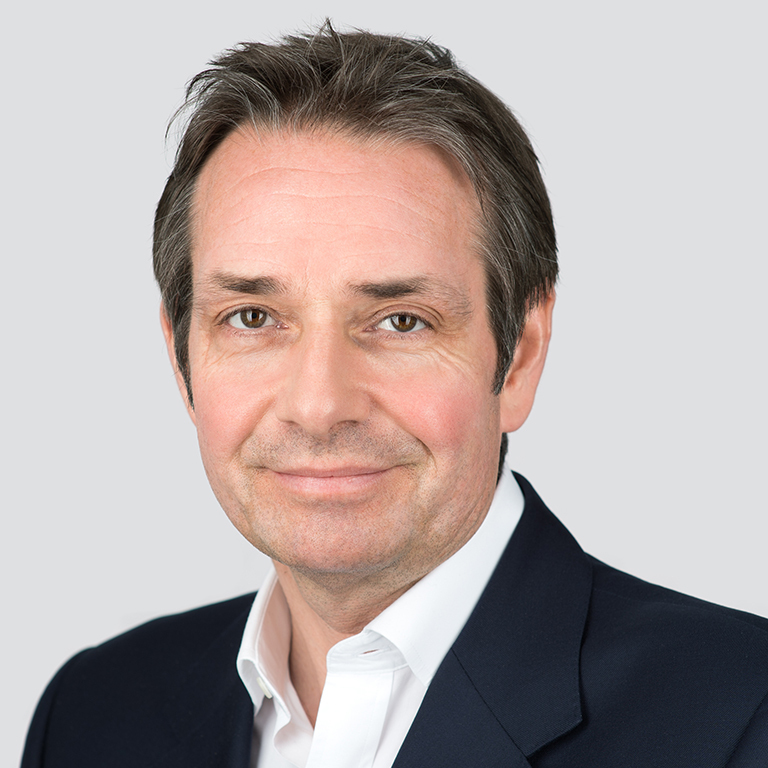 Prior to co-founding NECP, Andrew owned and operated a boutique management consultancy practice - Richardson MC - operating in the cards and emerging payments sector of the financial services industry. Richardson MC completed a wide variety of successful projects for clients including MasterCard Middle East & Africa. Andrew was formerly a co-founder and Executive Director of GPS, a MasterCard and Visa accredited card payment processor based in UAE and UK; and an Executive Director of FEV, a market-leading gift card Programme Manager based in UK. He exited both businesses in March 2013. As Sales & Marketing Director of FEV Andrew was joint project lead on the launch of the first open-loop prepaid shopping mall gift card in Europe in 2005. Andrew subsequently led the business development effort that resulted in FEV rolling out the prepaid gift card concept to another 60+ shopping malls in UK, Poland and UAE and saw annual turnover of the business break through £50m pa. This roll out included repeating first to market status with prepaid products in Poland during 2007 and UAE during 2009. Andrew co-founded GPS in Dubai, UAE in 2007. GPS developed a card payment processing platform from the ground up and achieved certifications with MasterCard and Visa, and PCI-DSS level 1 compliance. Andrew developed and implemented the brand and marketing strategy, and led the business development effort to prospective clients, bank issuers, and the payment schemes; from pre-formation through to stable operations processing more than $500m pa. GPS has gone on to grow into one of the largest and most well-known prepaid specialist processors in Europe. Andrew is a well-known industry thought-leader and spokesperson who is often asked to speak at public and private industry events on the topic of disruption in the payments industry and the digital transformation of financial services. Ashar is a FinTech entrepreneur, advisor and investor. Ashar has more than 20 years of experience in the Islamic finance industry: in the profession, the industry and in regulatory capacity with the Central Bank of Bahrain. He brings a unique track record of corporate finance, strategy consulting, performance improvement and customer experience roles that gives him a holistic understanding of digital influences driving change for his clients. Prior to joining Finocracy, Ashar was Senior Partner and the Global Head of Islamic Banking Practice at EY and advised on setting up more than 30 Islamic financial institutions across emerging markets. During his tenor, Ashar has advised boards and senior management of Islamic banks on digital innovation, transformation and implementation. Ashar left EY in 2017 to join Finocracy, a boutique firm that focuses on implementing FinTech platforms for the Islamic finance industry. He is the co-founder of a retail banking FinTech solution with ambition to position Islamic banks at the forefront of digital marketplace. Ashar is also advising a prominent institution on equity investments in the FinTech industry in GCC. Recently, he helped assemble a consortium of Islamic banks for accelerated build-out of FinTech platforms in MENA. Ashar is a regular speaker at influential industry forums, facilitates client strategy sessions, and has directed several thought leadership research on the integration of FinTech solutions and the Islamic banking industry. Mr. Ayman Sejiny brings over 24 years of Investment and Corporate Banking experience, having held senior roles in a number of leading local, regional and international financial institutions such as Barclays, and the Saudi affiliates of CITI Bank and ABN Amro. 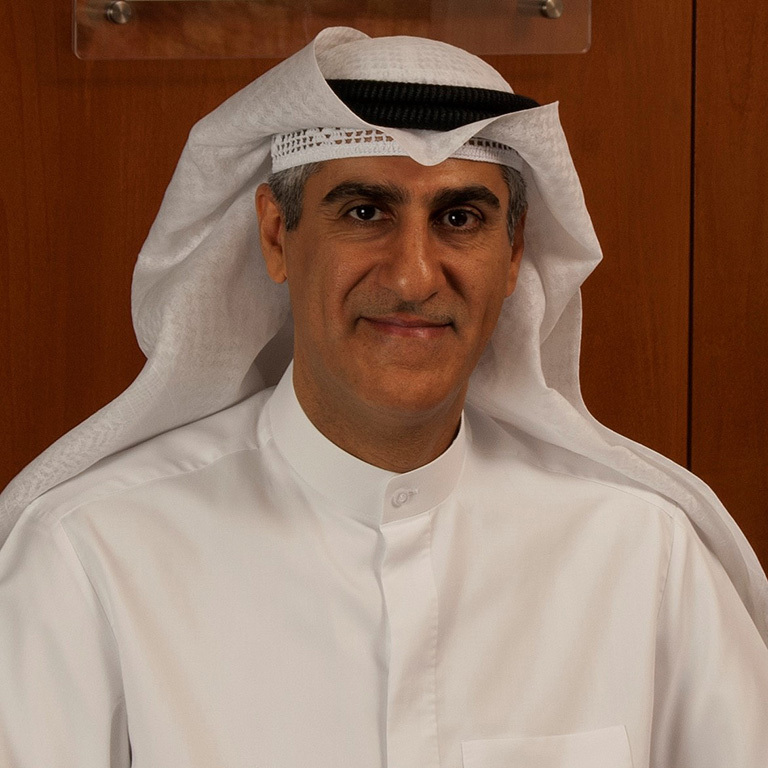 Previous to his appointment with Ibdar, Sejinywas the Group CEO of Bahrain based Bank Alkhair, which has a presence in Saudi Arabia, United Arab Emirates, Turkey and Malaysia. Prior to this he was Board Member and Chief Executive Officer of Barclays Capital Saudi Arabia where he managed Barclay’s three business sectors consisting of Barclays Capital, Barclays Wealth, and Barclays Sales and Treasury. He is also the Chairman of Bahrain Financing Company Group (BFC), holds positions on various boards regionally and internationally, and has spoken at numerous banking and finance conferences in Bahrain, KSA, UAE, UK and the USA. Mr. Sejinyholds a BA in Finance from Eastern Michigan University, United States. Oman (fully affiliated with the University of Missouri St. Louis, USA). His previous positions include Economic Expert, Ministry of Finance, Oman; and Chairman, Department of Economics of Khartoum University. 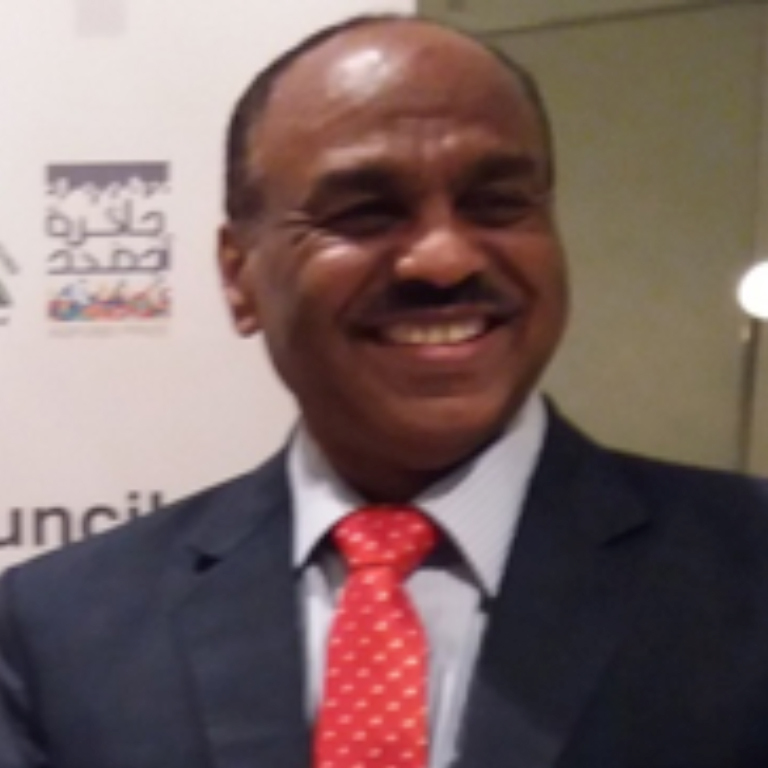 Prof. Ibrahim was Small Enterprises Financing Consultant to both the Sudanese Islamic Bank and to the Khartoum office of the German Fredrich Ebert Foundation. He was a consultant to the Saving and Social Development Bank during 2009–2010. Professor Ibrahim undertook many international consultancies and funded research on MSME financing. He also contributed regularly to the economic columns published by newspapers in Oman, UAE and Sudan. He published many articles in internationally recognized journals, and repeatedly acted as a resource person for conferences on MSME financing and Islamic finance/microfinance in Europe, Far East, Middle East and Africa. He is the author of Banking & Finance to Small and Microenterprises in Sudan – Lessons from an Islamic Financing System, Institute of Islamic Banking & Insurance, London, 2004 and Economic Co-Operation in the Gulf, Routledge, London & New York, 2007 (2nd edition 2011). In addition to a book, entitled Issues in Microfinance, published by IRTI/IDB, Jeddah, 2016. Another book published by Lamert Academic Publisher in June 2017: “Cases of Microfinance in Africa". Finally, a book in Arabic (issues in microfinance and financial inclusion) is under publication in Sudan. Bashar Al Natoor is Fitch Rating’s Global Head Islamic Finance. Mr Al Natoor is responsible for coordinating all Islamic Finance activities across Fitch’s Sovereign, Financial Institutions, Corporate, Structured Finance, Infrastructure and Insurance teams, bringing together dedicated analytical and industry expertise into a centralised and focused Islamic finance group. Mr Al Natoor has more than 16 years' experience in the Islamic Finance market. Since joining Fitch in 2007, he has overseen Fitch's Sukuk criteria and Islamic Finance practices, undertaken research and written numerous published articles on Islamic Finance. 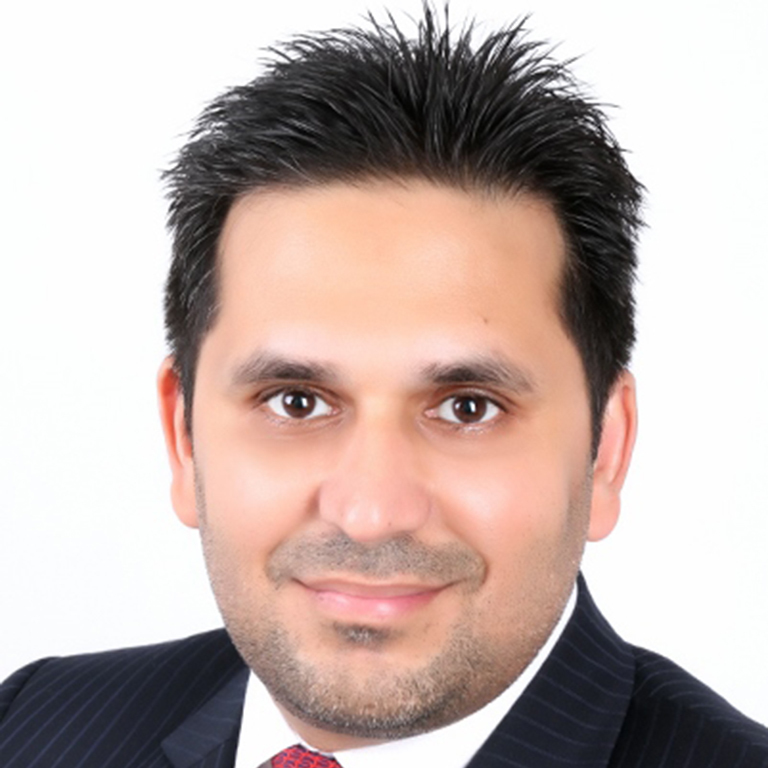 Mr Al Natoor Joined Fitch as a director in the EMEA Corporates group based in Dubai. He was responsible for analysing EMEA issuers, with focus on Middle East and Turkish issuers in the construction, property and Telecommunication sectors. Prior to joining Fitch, Mr. Al Natoor spent seven years at the Islamic Development Bank (IDB) in key roles including Investment Officer in the Treasury Department, a Senior Credit Analyst in Risk Management and Senior Technical Assistant to the Vice President of Finance & Administration. Before working with IDB, Mr Al Natoor was a senior auditor for four years in Arthur Andersen. Mr Al Natoor graduated with an MSc in banking and financial studies from the Arab Academy for Finance and Banking Science and a BS in finance and banking from Amman University. Bashar is also a Certified Bank Auditor (CBA), a Certified Risk Professional (CRP), a Chartered Market Analyst (FAD-CMA), and a Certified Risk Analyst (CRA). Cassim is the Director of DDCAP (DIFC) Limited and the Company’s head of marketing and placement. 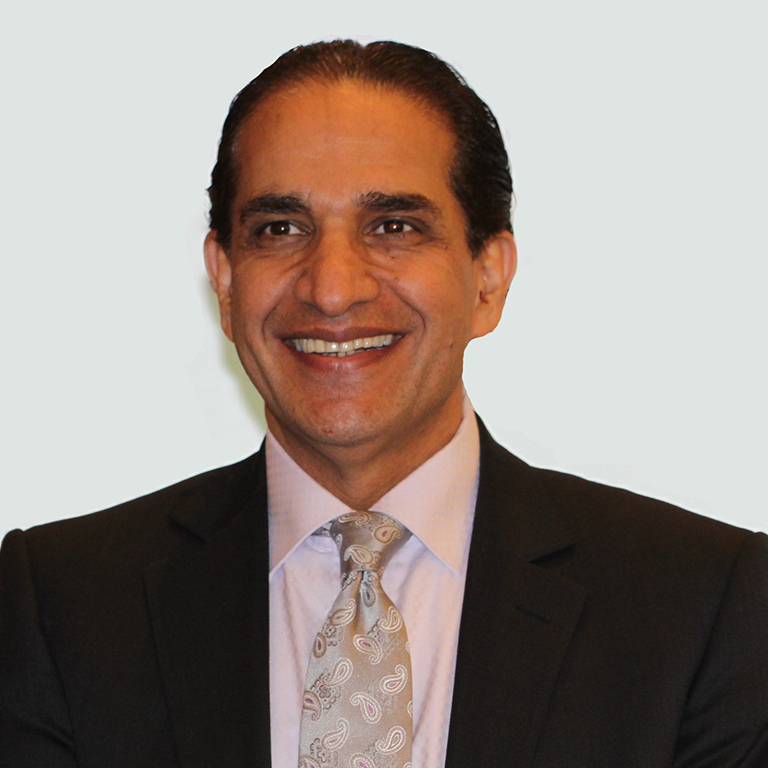 Cassim has over 28 years international banking experience in Canada, the US, Europe, Asia, the Middle East and Africa. 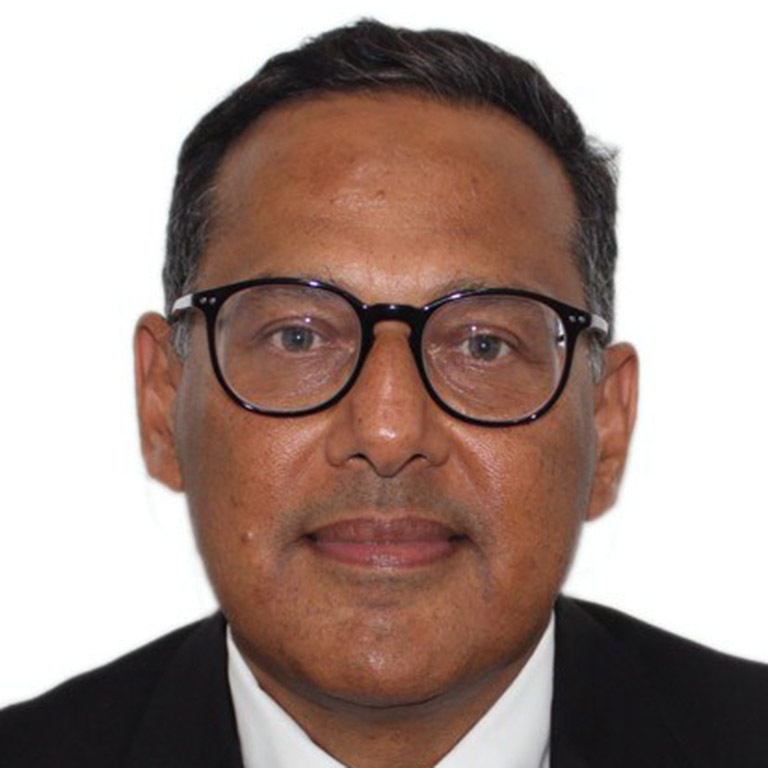 Cassim started his banking career in 1981 with Citibank in London before moving to Canada where he went on to hold senior positions at Citibank, Bank of Montreal and the Bank of Nova Scotia. He has worked in the Middle East since 1991 holding senior executive positions with banks including Kuwait Finance House, Al Rajhi Bank in Saudi Arabia and most recently, the National Bank of Abu Dhabi. Cassim has built strong relationships with major institutions and government entities in the region and beyond. He has experience across Commercial, Investment and Islamic bank offerings focused at institutional investors. Cassim holds a BA (Hons) from Warwick University, an MA from London University and is a fellow of the Institute of Canadian Bankers (FICB). He was Honorary Consul for South Africa to the Kingdom of Bahrain from 1999-2004. Darin founded Sustainability Excellence in 2007 to support leading companies in the Arab region in adopting sustainability. Since then, Darin and Sustainability Excellence have worked with nearly half of all regional companies issuing sustainability reports. Darin is a pragmatic advocate of the business case - and investor case - for sustainability. He recently established Sustainability Excellence’s independent ratings arm ESG Invest, which maintains the world’s most comprehensive coverage for investors of environmental, social and governance performance in the Arab world, including ESG ratings reports for all listed companies in the GCC, as well as other regional markets. Daud Vicary Abdullah is the MD of DVA Consulting. 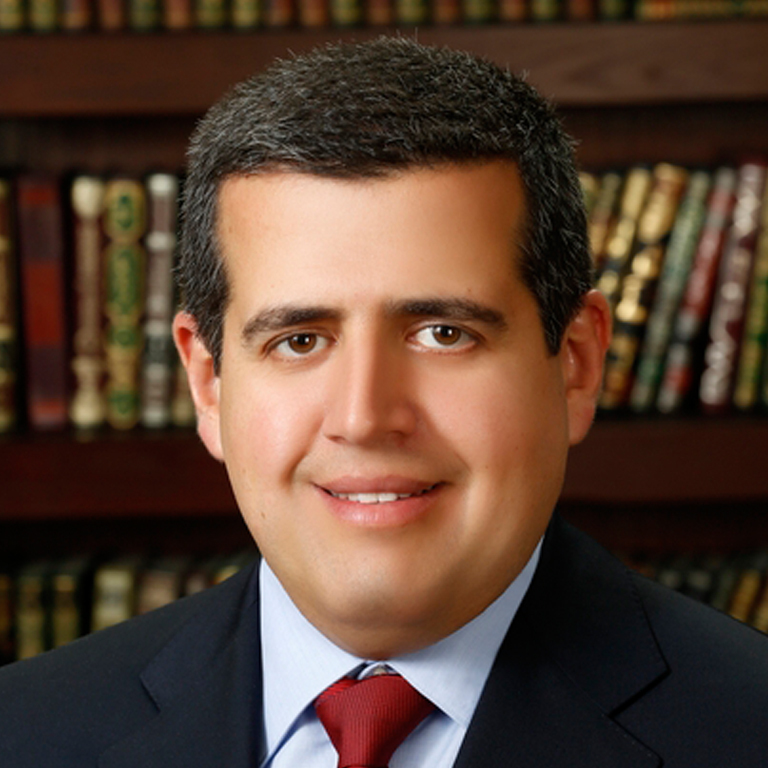 Since 2002 he has focused exclusively on Islamic Finance. Daud is a distinguished fellow of IBFIM, a Chartered Islamic Finance Professional (CIFP) and a former Board member of AAOIFI. Daud was the first MD of Hong Leong Islamic Bank. After which he became COO and ultimately Acting CEO at Asian Finance Bank. Daud is now engaged by Deloitte to assist in the set up of their Global Islamic Finance practice. Daud is a frequent speaker and commentator on matters relating to Islamic Finance, has been a contributor to a number of books on the subject and is currently co-authoring a book on Islamic Finance for non-Muslims. Mr. Alkheshnam is a distinguished industry veteran with a career that spans more than 25 years in the fields of information technology and software solutions. 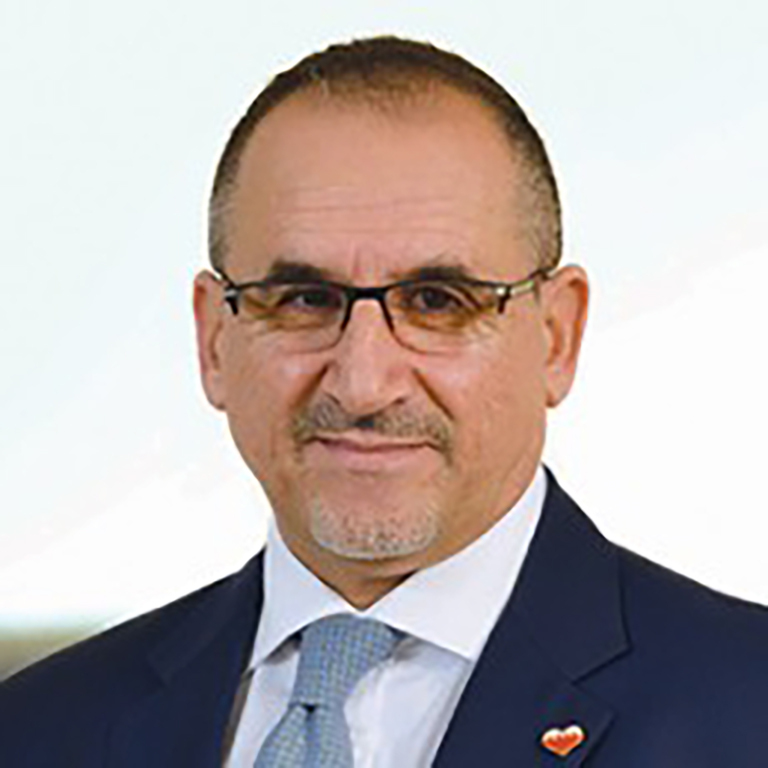 Prior to his appointment in February 2017 as the Chief Executive Officer of International Turnkey Systems Group (ITS), Alkheshnam held numerous senior positions in the field. The most recent being head of the IT Strategic Planning Department at the Central Bank of Kuwait, where he worked closely with the nation’s banks and financial institutions to improve productivity through automation. 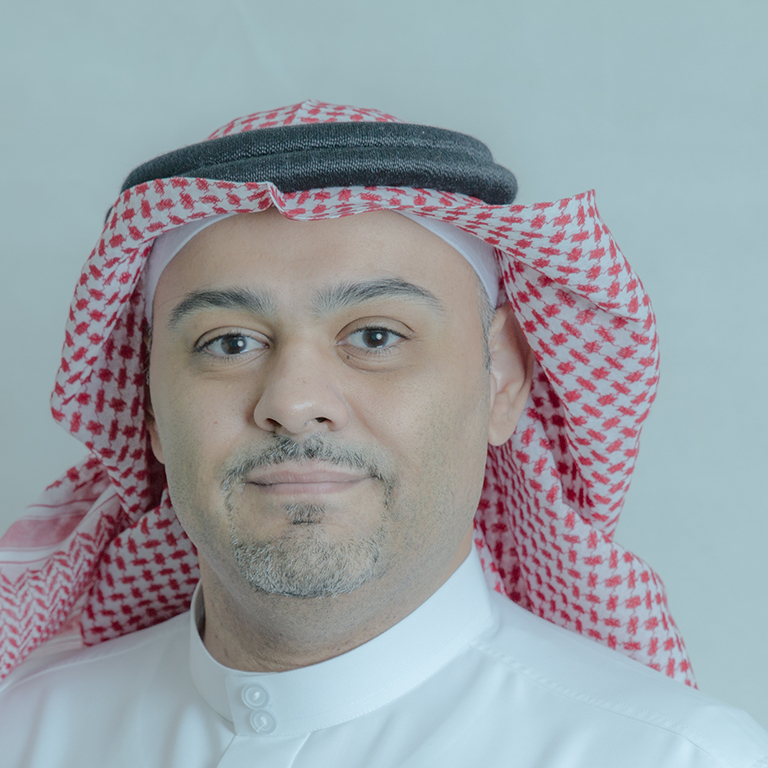 During his career, Alkheshnam has been credited with several notable achievements, including the innovation and management of several advanced IT solutions for numerous renowned regional and international companies. 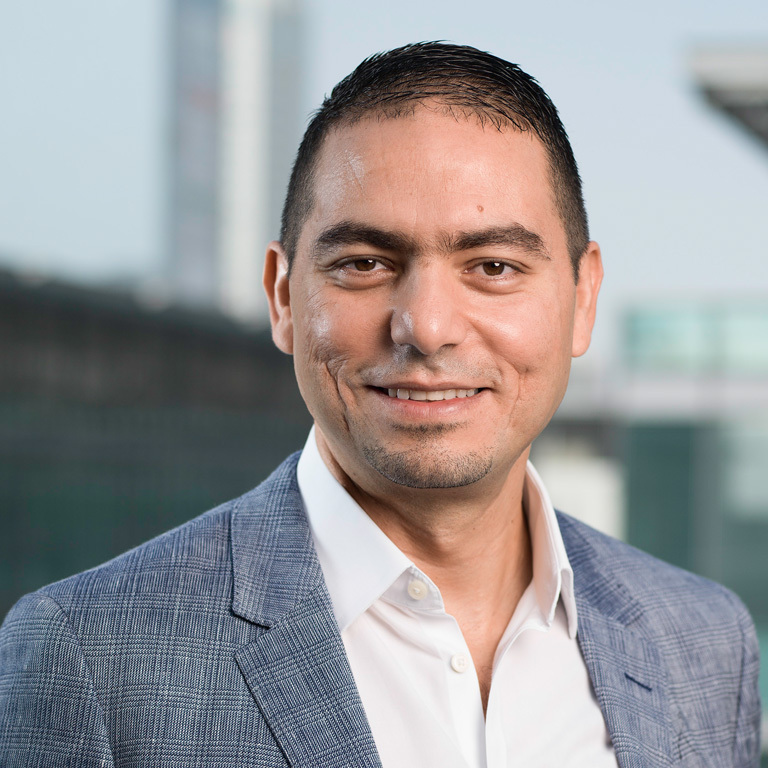 As CEO of ITS, Alkheshnam is defining a new vision for the Group as he further underscores the Company’s position as a leading provider of quality IT solutions and services for the local, regional and international banking industry. Alkheshnam holds a Bachelor’s degree in Computer Engineering from the US, and completed a program in Strategic Management from Harvard Business School. Fadi is the Chief Executive Officer of Bank of Khartoum (BOK) with nearly 20 years of international and regional banking experience. Awarded “Islamic Banker of the year 2016” from Global Islamic Finance Awards (GIFA). 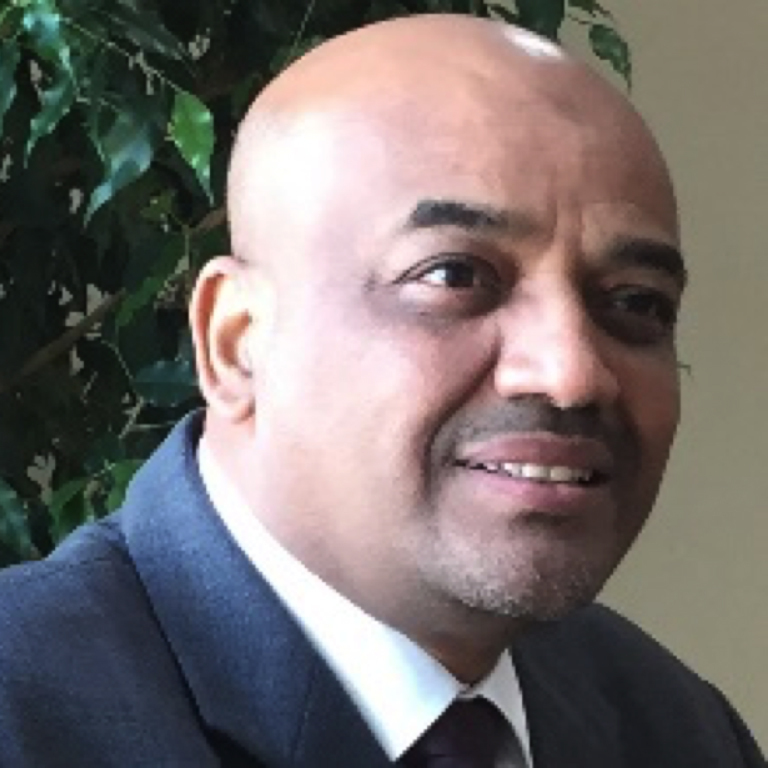 Joined BOK in 2006 as Chief Operating Officer and in 2008 appointed as CEO spearheading BOK’s business development, restructuring and transformation to become the leading Islamic financial services group in the Sudan. Under his leadership, BOK has enhanced and developed its service offer full range of products and services for Corporate Banking, Retail Banking, SME, Microfinance, Treasury and Investment banking across multiple channels in Sudan and BOK has opened two International branches in Kingdom of Bahrain and united Arab Emirates. BOK has lately pioneered the launch of Mobile Money service in Sudan that will potential increase financial inclusion and banking penetration significantly in the market. BOK has a USD2 billion balance sheet and over 2000 employees across the Group. The Bank is the first institution in the Sudan to be delisted from OFAC in 2011 as well as being rated by the Islamic International Rating Agency with (AA-) long term credit rating with a short-term credit rating consistently. Moreover, BOK has been awarded as the best bank for Strategy. Prior to BOK he had held several senior banking positions in Citibank, Egyptian Arab Land Bank, Standard Chartered Bank and ANZ Grindlays Bank. Fadi holds a Global Executive MBA from TRIUM (LSE, NYU and HEC). 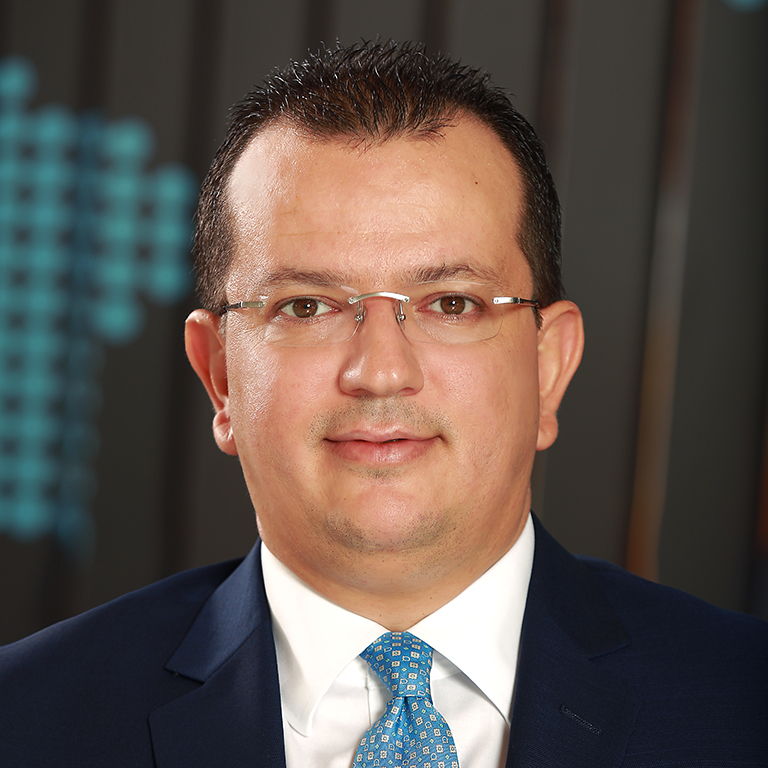 Fadi Al-Qutub joined ICAP in beginning 2015 and he has more than 19 years of experience in the financial industry. He attained a Certified Financial Advisers (CEFA) from UK Chartered Institute of Bankers, and holds an International Diploma in Financial Services, a Chartered Portfolio Manager and a Certified Wealth Manager from AAFM and CAIA Fundamental Certificate. He graduated with honors as an Associate Diploma and holds a Bachelor degree in Management and Finance from the University of Bahrain. 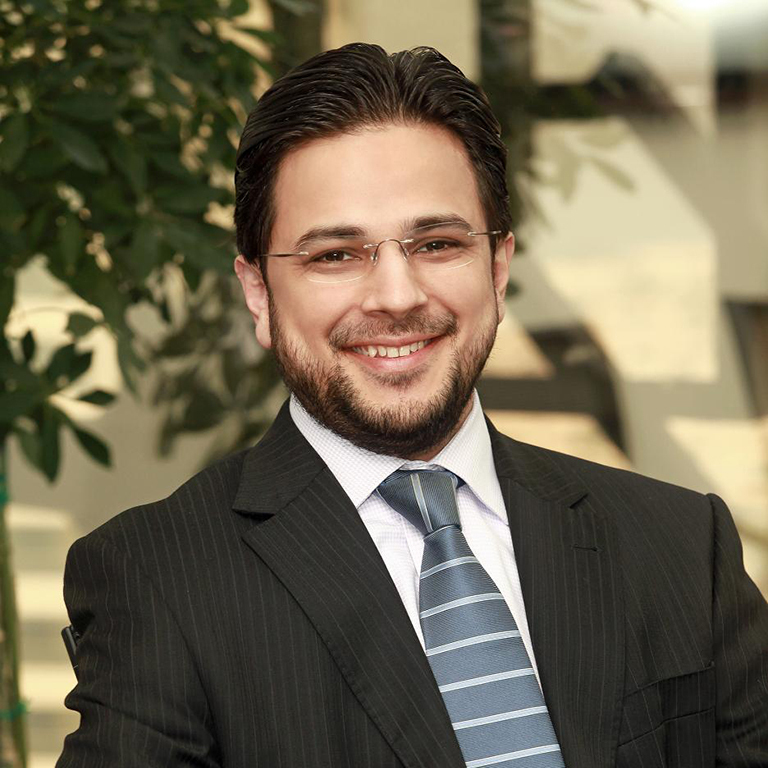 Fadi Al Said is a Portfolio Manager/Analyst on the Middle East and North African Equity (MENA) team. He began working in the investment field in 1998. Prior to joining Lazard in 2014, Fadi was Head of Investments and Portfolio Manager for ING Investment Management Middle East. Previously, he was a senior fund manager in the Asset Management division at NBD Investment Bank where he managed the two flagship funds (MENA Equities and GCC Balanced Funds). Prior to that Fadi was at Noor Capital where he was a Senior Vice President heading up the Asset Management division. He also worked for Damac Invest as a Senior Portfolio Manager, where he co-managed a multi-billion Dirham portfolio invested in the MENA region. He was responsible for leading a team covering Saudi Arabia, Kuwait, UAE and other emerging markets. Prior to that, Fadi was the Head of Research at Al Jazira Bank in Saudi Arabia. He started his career working in the Arab Bank in Jordan. Fadi holds an MBA from Cass Business School (London City University) and a BSc in Economics from the University of Jordan. 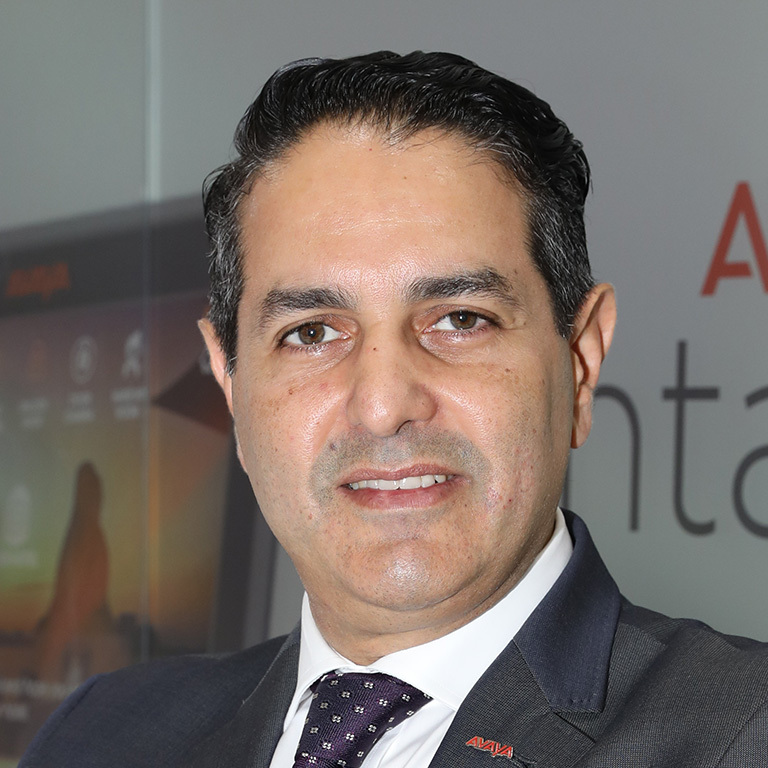 Fadi Hani is Vice President, Middle East, Africa and Turkey, for Avaya, the world’s leading business communications company. 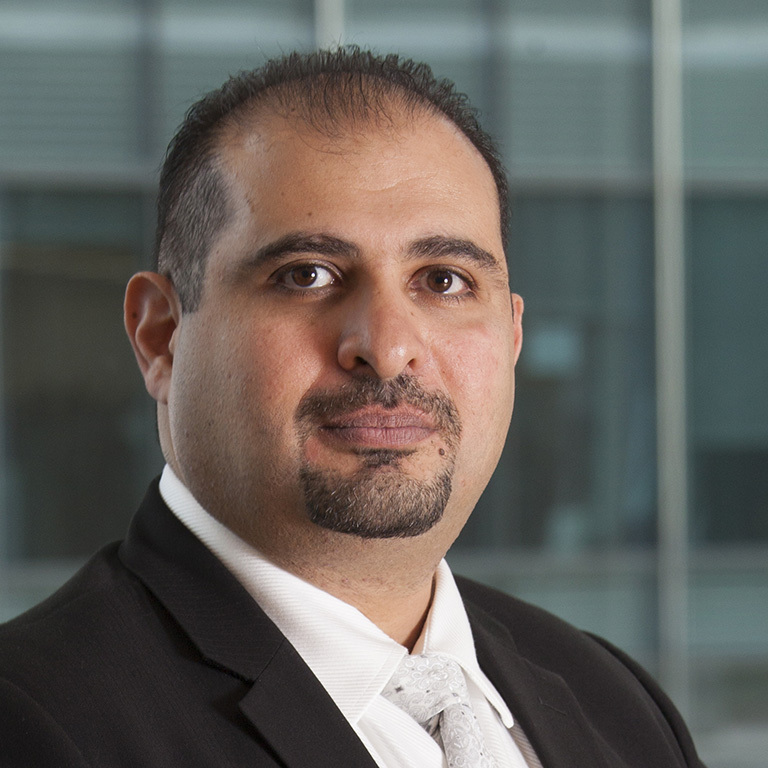 With more than two decades of experience in the ICT industry, including 10 years at Avaya, Fadi has been involved in designing and building some of the region’s most innovative customer service centers for major financial services companies. His background as a software engineer helps him advise on best practices, as well as the deployment of the latest technologies to improve customer experience and drive deeper relationships. Fatih Kazan is a Financial Sector Specialist at the World Bank Global Islamic Finance Development Center in Istanbul. He provides expertise and technical assistance in the areas of financial sector development, financial stability, stress testing and risk management, corporate governance and financial inclusion. He participates in domestic and global advisory programs and projects relating to development of Islamic financial sectors. He provides training to banking and securities regulators and other stakeholders in the form of a seminar and/or workshop. He is currently coordinating the activities of the Center and leading the team. Prior to joining the World Bank, he was working in the Banking Regulation and Supervision Agency (BRSA) as the Deputy Head of the Enforcement Department III which is responsible for the activities of state-owned banks, branches of foreign deposit banks and Islamic banks in Turkey. He has over thirteen years of experience in banking and leaded several projects in the BRSA on Basel banking principles, risk management, corporate governance, accounting and auditing, and resolution regimes. He holds a bachelor’s degree from Ankara University and an MBA from Darden Graduate School of Business at the University of Virginia. 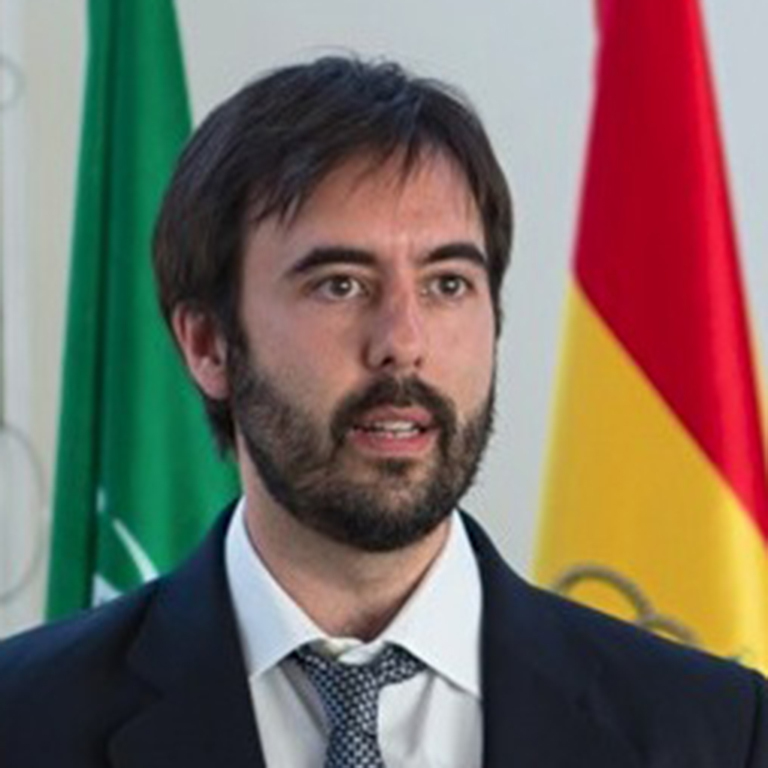 Gonzalo Rodríguez is currently the General Coordinator of the Saudi-Spanish Centre for Islamic Economics and Finance at IE Business School. 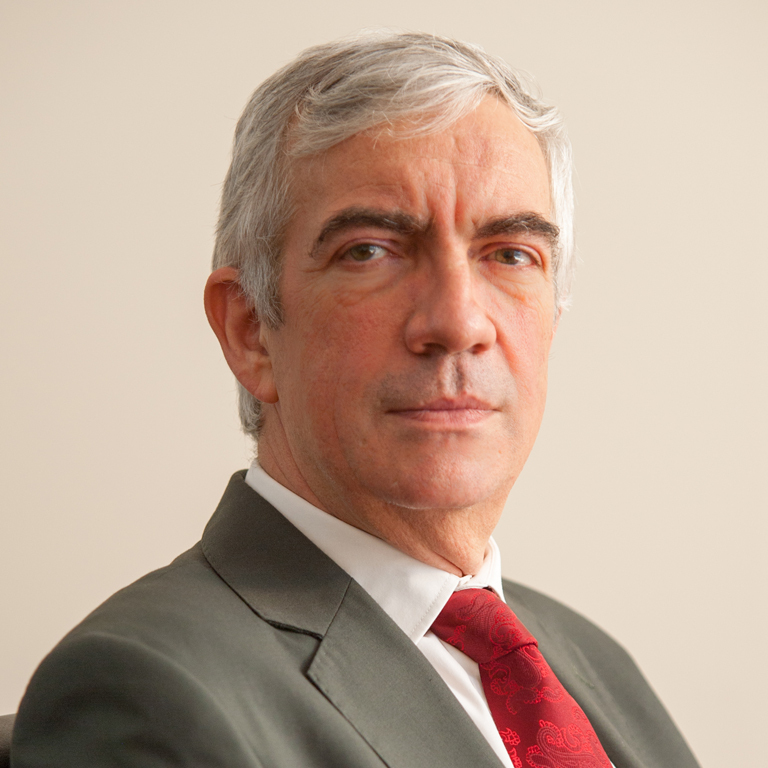 Previously he was a lawyer at Triodos Bank, the leading ethical bank in Europe and legal adviser at Garrigues Abogados (the Iberian peninsula’s leading tax and legal services firm in terms of professional headcount and billing). He received his MAJ (LLM) from IE Business School, a Degree in law from Universidad Autonoma de Madrid, an International Executive Program in Islamic Finance at IE Business School and he also holds studies in political science from Universidad Complutense de Madrid. 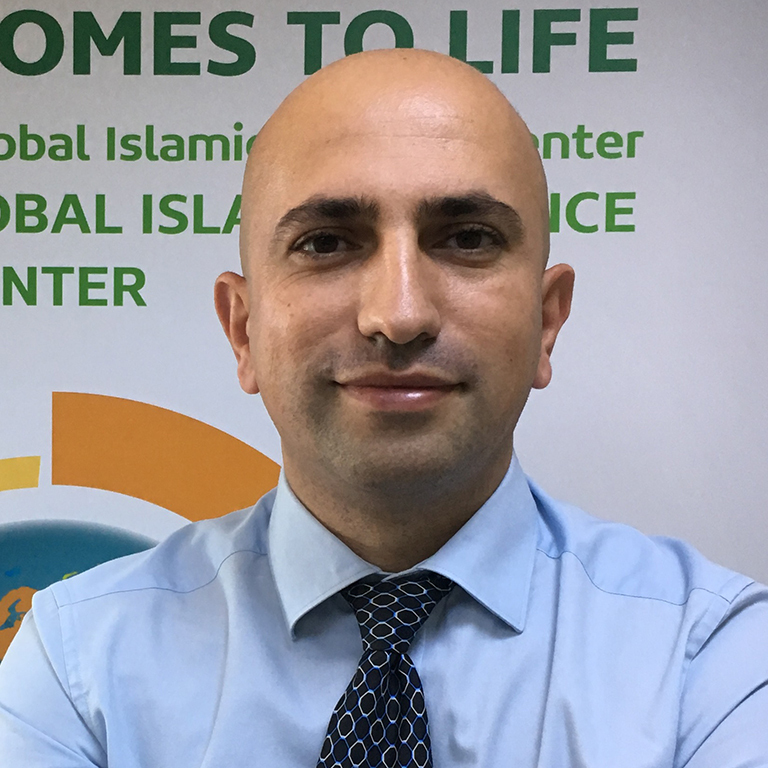 Hatim is a director in Deloitte and Touche (ME)’s financial services practice, and leads the Islamic Finance Knowledge Centre where he advises clients on Islamic financial markets development. 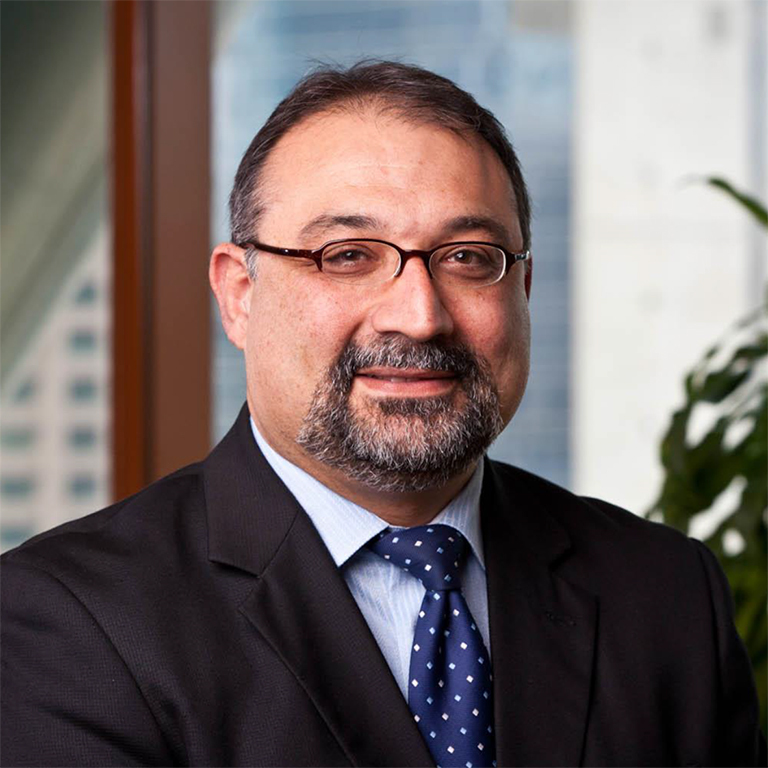 Hatim Tahir devised and leads Deloitte’s Islamic thought leadership program, and writes the yearly industry flagship - Deloitte Islamic finance reports. With over 20 years business and finance experience, Hatim has held key leadership roles designing Islamic finance strategies and delivering projects in the Middle East, Europe, Central America, Central and South Asia. His recent accomplished engagements included strategy development, Sharia’ Governance and regulatory compliance, and industry research in Islamic capital market instruments. 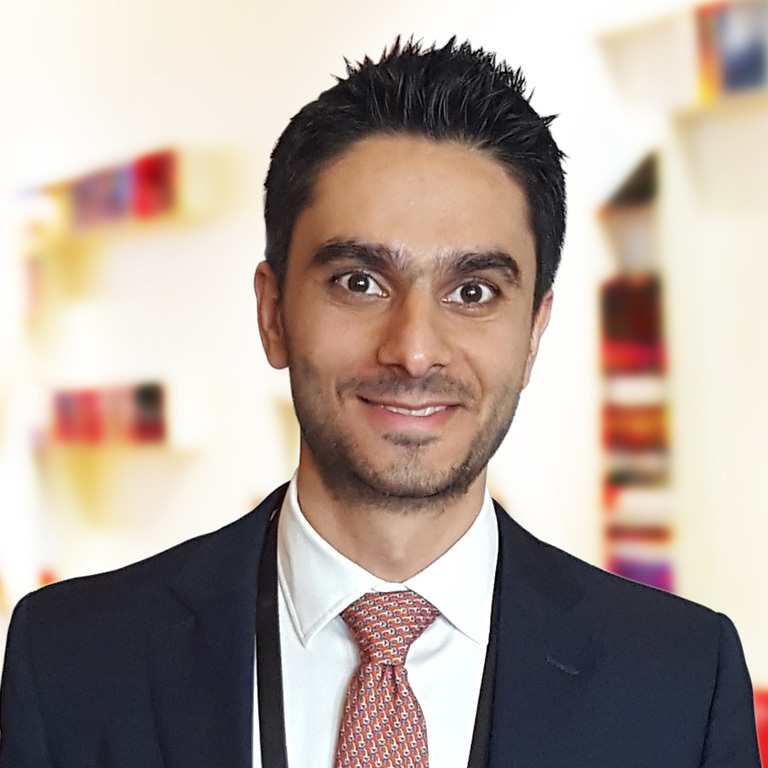 Prior to working for Deloitte, Hatim worked for the NASDAQ DUBAI in a senior role, and led a capacity building & leadership development initiative in Islamic finance - working with international financial institutions regulated by the DFSA - to develop their Islamic financial knowledge and skills and other DIFC’s rules and regulations. Hatim authored numerous articles and chapters in books including Harvard University and Wiley. He is also a regular contributor to industry talks and comments in industry issues in CNBC Arabia, Bloomberg, Forbes ME and other broadcast outlets. Hatim regularly participates in industry consultative meetings and working groups and is a member of Board of Trustees of the AAOIFI. Hatim earned his PhD in Business Management, University of London, and was a Research Associate at the London School of Economics between the years 1995-2000. He is currently a Visiting Research Fellow at the ICMA Centre, Henley Business School, University of Reading and Fellow member of the British Chartered Institute for Securities & Investment (CISI). 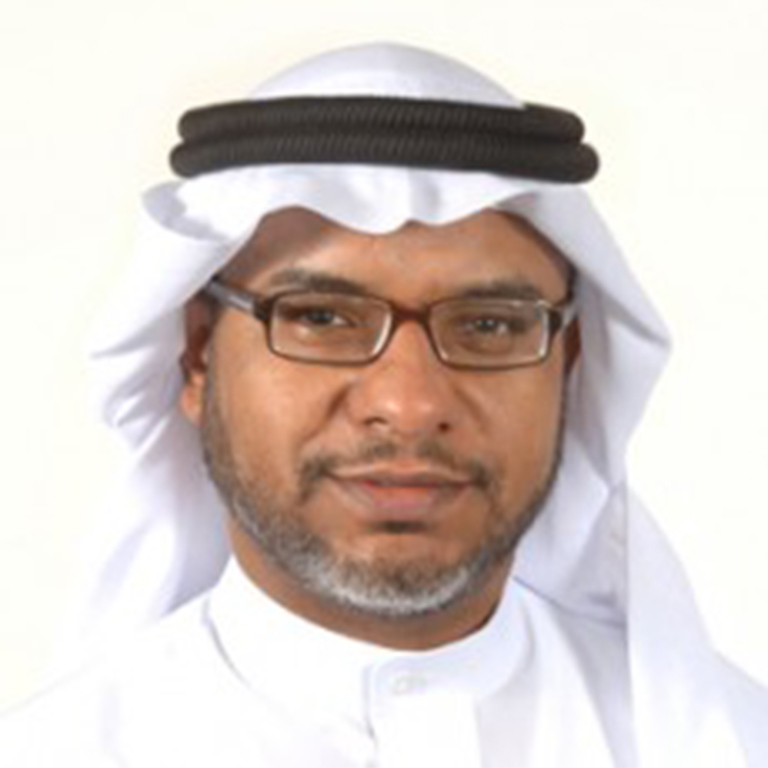 Mr. Hussain Abdulhaq is an experienced Treasurer in the area of Islamic banking and Capital markets. He spent most of his 15 years career as treasury specialist where he was involved in different areas, like Islamic liquidity management, Islamic capital markets instruments, development of Islamic complaint investment products and hedging instruments. He joined Al Salam Bank in 2007 as a senior member in the treasury team and he was involved in establishing the different functions and business lines of the unit as well as in charge for the ALCO function. Mr. Hussain Abdulhaq led the treasury integration process of Al Salam Bank and Bahrain Saudi Bank in 2010 and handling the same responsibility with BMI Bank. Prior joining Al Salam Bank, He worked for Kuwait Finance House (Bahrain), a leading Islamic Financial institution in the region, for more than 5 years where he was in charge of the dealing room activities. Mr. Hussain Abdulhaq holds an MBA degree in Banking & Finance with a first honor from University of Bahrain and he is also a Chartered Financial Analyst (CFA). International Bank where he was heading the Debt Capital Markets and Islamic Banking units. before moving to Abu Dhabi Islamic Bank as part of their Structured and Project Finance team. Mr. Ali holds an MBA degree. He also has been an elected board member of the local CFA society. Imran is a Director of Islamic Finance in the Private Capital Markets team at the National Australia Bank (NAB). His primary responsibility is building the Islamic finance capability for bank's Corporate and Institutional Banking division. Prior to this, he was the national Product Manager for NAB’s multi-award winning Microenterprise Loans. Imran was appointed by the Foreign Minister to the Board of the Australia-ASEAN Council, Department of Foreign Affairs and Trade and he is an Advisory Board Member of the Islamic Museum of Australia. Imran is also an Honorary Research Fellow at the Institute for Religion, Politics and Society at the Australian Catholic University and the Founder of an online Arabic learning platform called arabicmadeinchina.com. In 2017, Imran was ranked in the top 500 who make the Islamic Economy by ISLAMICA 500. Imran has an undergraduate degree from the University of Adelaide, a Masters in Islamic Studies from the University of New England and a PhD in Islamic Studies from the Melbourne Law School and the Asia Institute at the University of Melbourne. 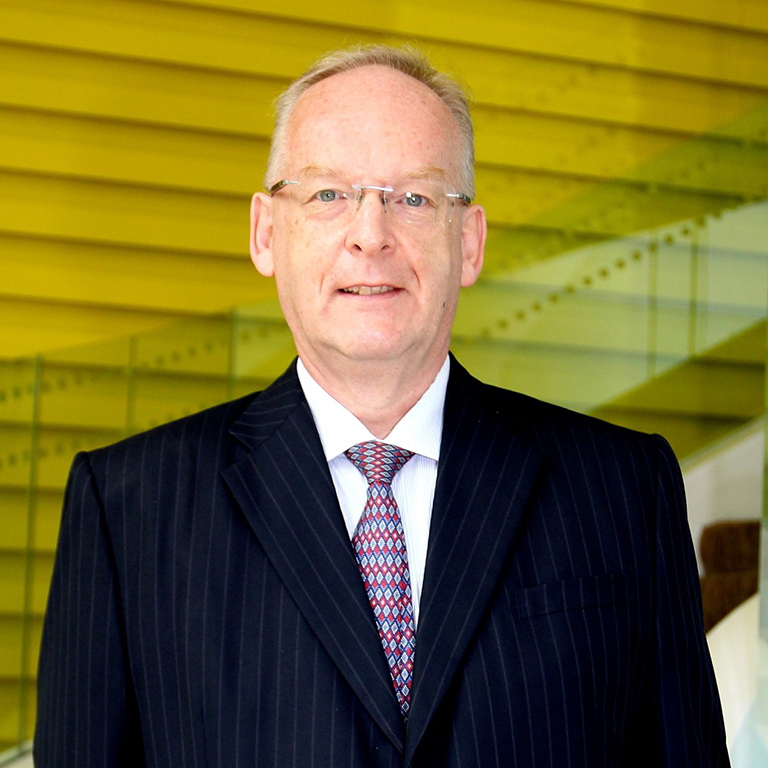 Jarmo Kotilaine is the Chief Economic Advisor of the Bahrain Economic Development Board (EDB). He joined the EDB in September 2012. 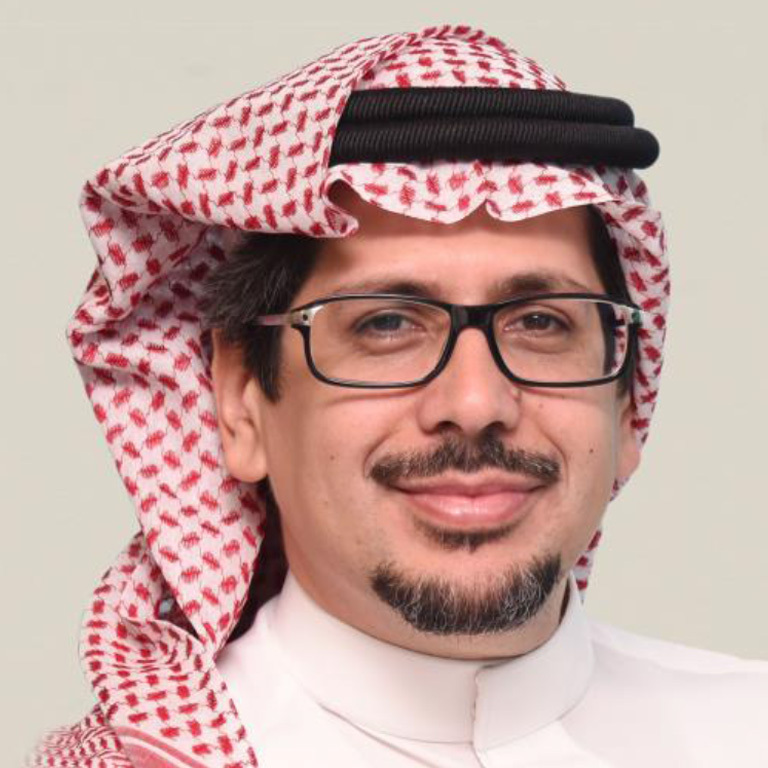 He previously served as Chief Economist of the National Commercial Bank (NCB) of Saudi Arabia, having initially worked on setting up the research function for NCB Capital, the investment arm of the NCB Group. Dr Kotilaine worked for a number of years as an economic and financial consultant with a primary focus on emerging markets. He advised the Spanish stock exchange, Bolsas y Mercados Españoles (BME) and headed the financial services practices of UK-based global consultancy firms. During this time, Dr Kotilaine's main clientele consisted of banks, stock exchanges and financial regulators. Dr Kotilaine studied economics and economic history at Oxford, Cambridge, and Harvard. He subsequently joined the faculty at Harvard where his primary research focus was the long-term economic and institutional development of Eurasia as well as on international trade and finance. 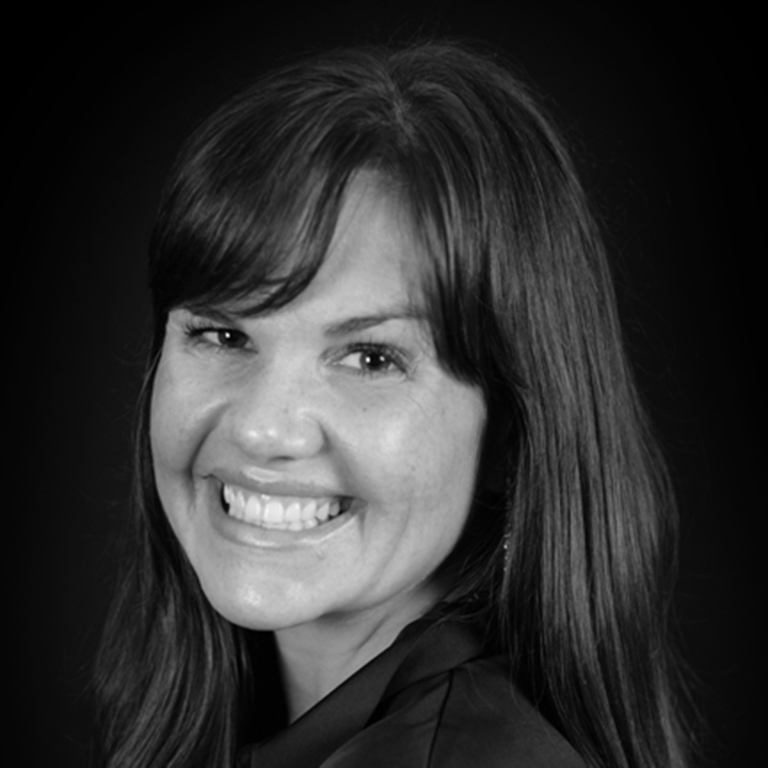 Jessica Robinson is the Founder of Moxie Future - the world’s first platform empowering women as responsible investors. As well as running Moxie Future, Jessica works as a strategic advisor to institutional investors, think tanks and governments on green finance, sustainability and responsible investment. Jessica has an extensive background in professional services and business consulting, focusing on financial services, environmental finance and sustainability industries. Through varied roles, she has had experience of working and living in Asia, Europe, North America and now the Middle East - across a range of different sectors, markets and regulatory environments. She frequently contributes articles, authors reports and speaks at conferences on issues including green financing, responsible investment, climate finance policy and broader sustainable finance issues. She also provides input to several advisory panels and working groups on green finance and sustainability issues, and was a member of Hong Kong’s Financial Services Development Council’s Green Finance Working Group, responsible for making policy recommendations to the Hong Kong government. Junaid is the CEO and founder of Wahed Inc. He has a Graduate degree from the department of Industrial Engineering & Operations Research from Columbia University. While at Columbia, he served as the Managing Editor of the prestigious academic publication, The Columbia Financial Review. 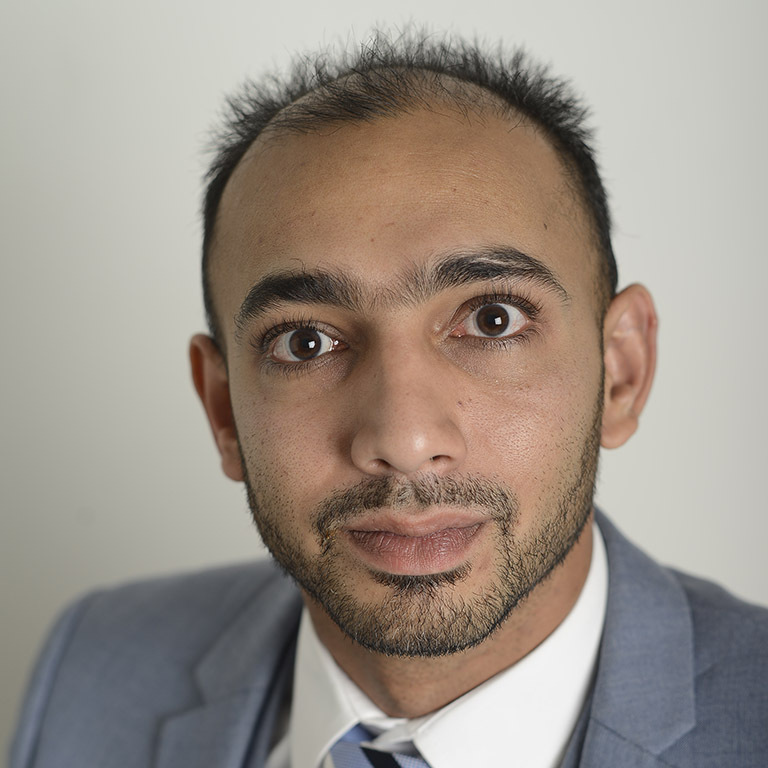 Junaid is the holder of the Chartered Alternative Investment Analyst (CAIA), Certified Management Accountant (CMA), and CIMA Diploma in Islamic Finance (CDIF) designations. He has also been a speaker at international conferences on Islamic Finance. His prior experience includes Merchant Banking in New York City. Khalid Al Kayed, Chief Executive Officer of Bank Nizwa, is responsible for overall leadership and effective management of the Bank, setting direction and driving total performance consistent with the interests of shareholders, employees, and other stakeholders. He oversees all aspects of the bank’s business segments in line with Islamic finance principles including its progressive Shari’a-compliant portfolio of products and services. Under his tenure, Al Kayed steered the bank to a new era, positioning Bank Nizwa as a strong, innovative, and relationship-oriented sharia compliant financial institution with the largest market share as a full-fledged Islamic bank. He leads the management team to further build the Bank Nizwa brand and its corporate and retail customers’ portfolio across various industries. He is also leading the bank’s ongoing and new initiatives and programs to raise awareness on the benefits of Islamic finance to the wider public across Oman. A financial industry veteran with over 25 years under his belt, Al Kayed is associated with Bank Nizwa since its inception. Prior to joining the bank, Al Kayed held various posts in a host of well-respected financial institutions including Deputy Chief Executive Officer & Chief Financial Officer at Jordan Dubai Islamic Bank and Chief Financial Officer at Standard Chartered Bank Jordan. His expertise ranges from banking management, financial control, accounting, risk management, and asset liability among other fields. Al Kayed holds Masters in International Accounting and Finance from Liverpool University. He is also an alumnus of Columbia Business School from where he has completed executive management program. In addition to this, he is a Certified Management Accountant and Certified Financial Manager from Institute of Management Accountants. 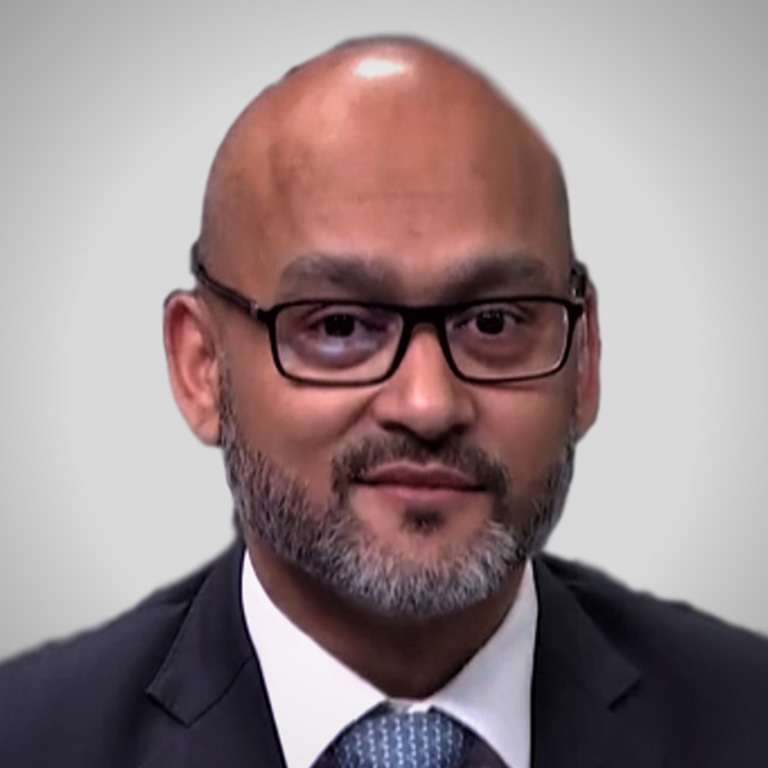 Khalid Howladar is the Managing Director and Founder of Acreditus, a boutique advisory practice created to serve the risk, rating and Islamic finance needs of the Gulf and Islamic credit markets. With his global perspectives, he is a recognised authority in his field and has addressed EM investors worldwide as well as audiences at the World Bank, IMF, ECB and IIF. Other interests include fintech and inclusive capitalism. 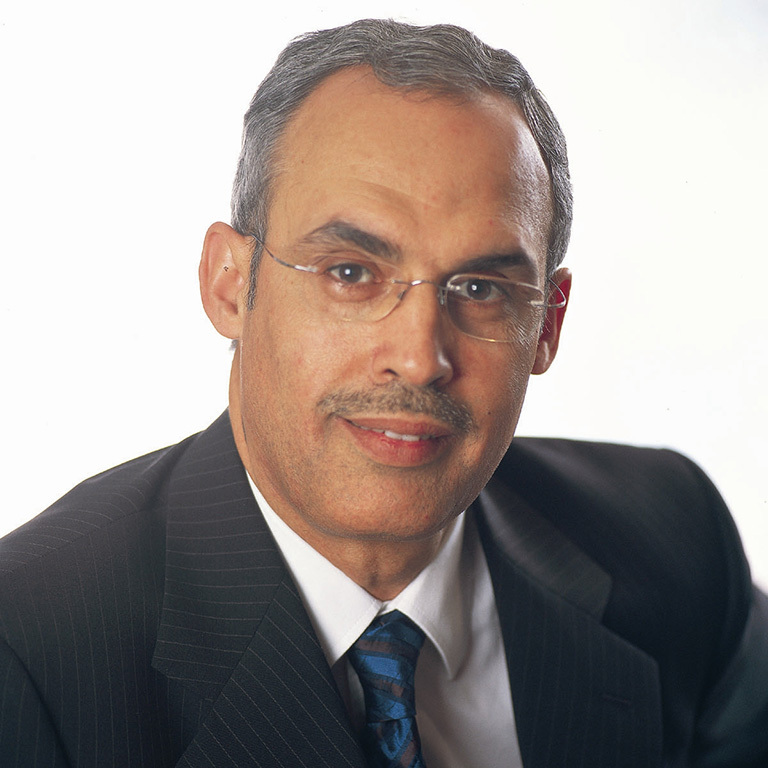 Previously, Khalid spent 15 years at Moody’s Investor’s Service London and Dubai as Global Head – Islamic Finance while concurrently Head of the GCC banking team. This was after senior roles covering securitisation and structured credit. As Moody’s first Global Head of Islamic Finance, he was responsible for the credit risk policy formation and strategy of a new global and cross-business line team of Analytical, Commercial, Investor and Media representatives to provide holistic and insightful coverage of this fast growing and dynamic sector. His leadership delivered first place in the IFN Awards for best Rating agency in 2015 after six year’s absence. As head of the GCC Banking team he was responsible for rating a diverse portfolio of around 60 financial institutions. He was both a Credit Committee Co-Chair for the European, Middle East & Africa Banks and a senior member in GCC Sovereign and Sukuk committees. Previously, he was an analyst in the structured finance team responsible for rating a diverse, $150 billion mix of GCC securitizations, leveraged loan, synthetic, high yield, asset-backed and project finance CDOs & CLOs. Khalid has provided over 100 risk briefings on both regional credit markets and Islamic finance to stakeholders such as Aberdeen, BlackRock, Fidelity, AIG, Threadneedle, Ashmore, ECM, LIM, Goldman Sachs, JPM AM, Franklin Templeton and BlueBay the amongst others. His research and views have often been quoted by the FT, Bloomberg, Reuters, WSJ, The Economist, CNBC Arabiya and other media outlets. He is a well-respected speaker at conferences with his passionate and dynamic style engaging audiences at the most senior levels in Washington and globally for institutions such as the World Bank, IMF, ECB, IIF, IsDB, AMF and Government shareholders of the IILM. He is a keen UAE educational supporter and has lectured students in Dubai (Cass and London Business School) and Abu Dhabi (Paris-Sorbonne and New York Universities) in risk, ratings, banking and Islamic Finance. Previously Khalid spent four years at Credit Suisse in the Emerging Markets Fixed Income Risk team. He holds an MSc in Finance from London Business School and an MSc in Advanced Information Technology and a BEng in Software Engineering both from the Imperial College of Science and Technology and Medicine. based on each country’s ability to provide an environment conducive to effective corporate governance. years of proprietary research and more than fourteen years of performance for its portfolios. Harvey Mudd College and an MBA in Finance from the University of Chicago Booth School of Business. He has worked to improve communities through social service, education, and welfare organizations. 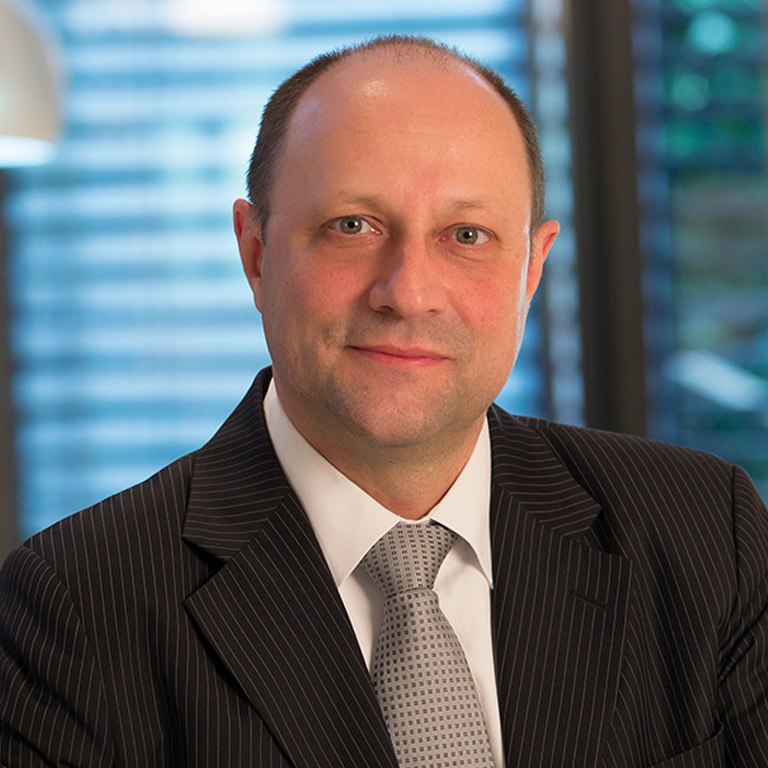 Marco Lichtfous leads the Financial Institution Strategy and Regulatory Affairs department in the Advisory & Consulting unit. He has accompanied scores of Financial Institutions from inception to full-scale rollout. He has accumulated a large experience in Business Development, Operations Transformation and Digitalization in particular, leveraging these to create and restructure organizations in order to capitalize on differentiation and industrialization opportunities. Before this, Marco acquired over 10 years’ experience in strategic consulting, restructuring, change management and corporate finance with top employers. He held positions of Associate Director at Omega Capital (M&A Advisory), Vice President Strategic Planning & Business Development at American Express, Senior Manager at A.T. Kearney Management Consultants and Senior Manager at Renaissance Worldwide Strategy Ltd., all in London and New York. Marco holds an MBA from the Anderson School at UCLA and a Master in Finance & Economics from Universität Trier in Germany. Mr. Utku was born in Ankara in 1968. He graduated from Mechanical Engineering Department of Boaziçi University (Istanbul, 1990). He completed his graduate studies in London School of Economics (1990-1992) and Master’s Degree on economic development in Marmara University (Istanbul, 1998). In 2004, he served as consultant to General Manager of Albaraka Turk. In 2006- 2007, he was head economist in Albaraka Turk. In addition, he was an economics columnist for Yeni ?afak newspaper for over 10 years (1995-2009). He later worked as Investor Relations Manager from 2007-2009. He continued as CIO-Assistant General Manager in December 2009 and was appointed as CFO-primarily responsible for Financial Affairs, Budget and Financial Reporting and Corporate Communication Departments. He was a board member of Borsa Istanbul from 2013 to 2016. As the General Manager of Albaraka Türk as of October 2016 Utku continued his duty, as well as Chairman of the Board of directors of Turkey Union of Participation Banks (TKBB), Bereket Varlk Kiralama A.?. Albaraka Gayrimenkul Portföy Yönetimi A.., Katlm Emeklilik ve Hayat A.?. He is member of Credit Committee, Remuneration Committee, and Executive Committee of Albaraka Türk. Michael Mellinghoff is Managing Director at TechFluence (www.techfluence.eu) and a Senior Advisor and Mentor at FinTech Forum. He is a seasoned investment professional with over 15 years of experience, spanning both the traditional banking and fintech world. 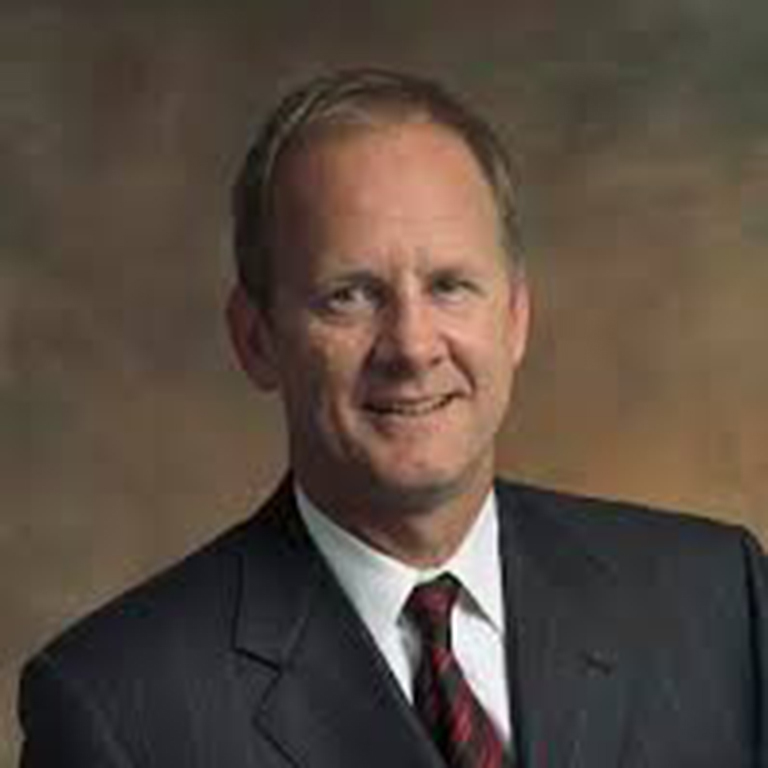 Michael’s career covers a 10+ years span in traditional banking, where he held a variety of managerial positions in asset management and investment banking in Germany and abroad, including management board and supervisory board appointments in Commerzbank Asset Management and DZ Bank Group. 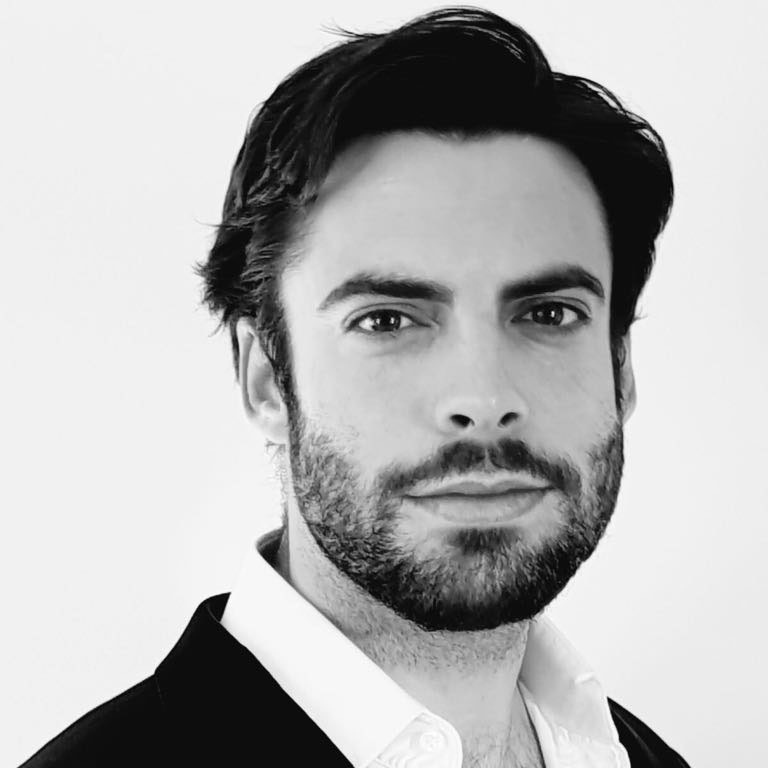 Since 2010, Michael has been working in the Fintech area, including a 3+ years experience as Managing Director with German Fintech pioneer sharewise.com, a stock centric community for investors until its exit. 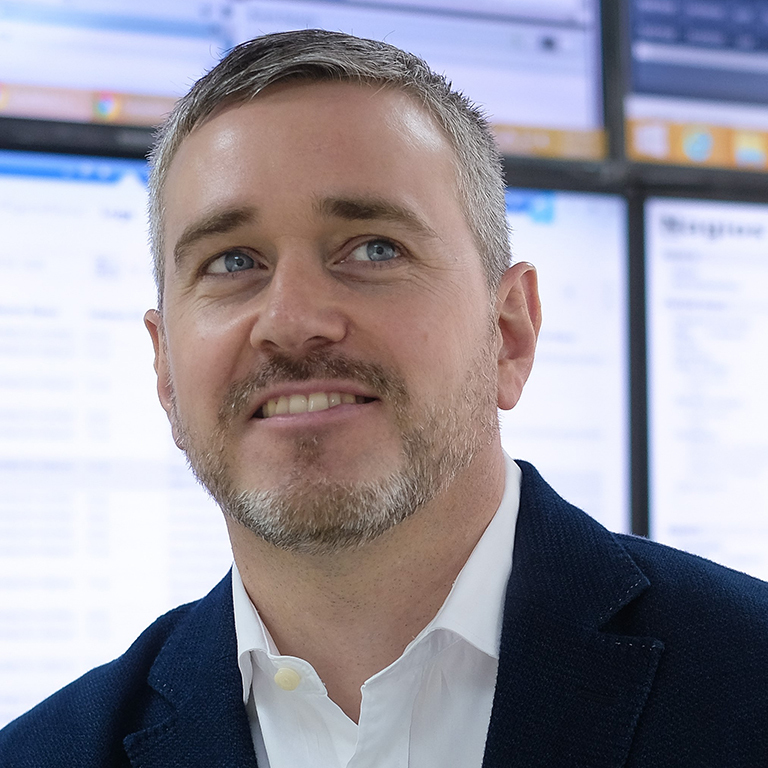 At TechFluence Michael heads the firm’s activities in the UK as well as spearheading the initiatives in digital investment management globally. 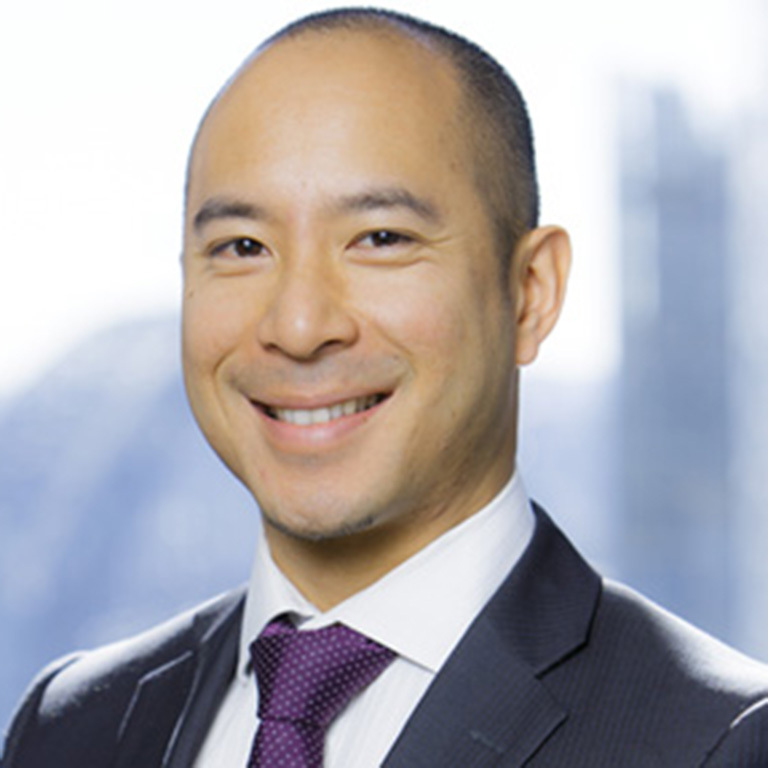 He acts as a mentor to several startups as well as FinTech accelerators (Startupbootcamp Fintech and Level39). He launched the FTF On Tour | InvestTech events (London, Sep. 2015 and April 2017) and the FTF On Tour | Robo Advice (Berlin, June 2016) as well as co-initiated the DVFA FinTech Forum series of the German Association of Investment Professionals in 2015 in Frankfurt. His focus areas are startups in InvestTech. 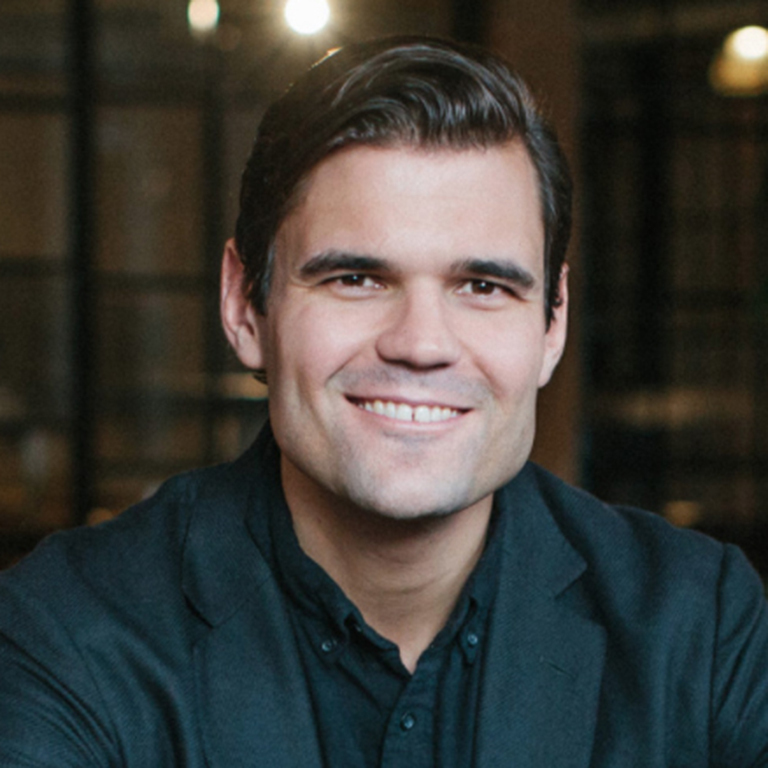 Since August 2016 Michael serves as a member of the Supervisory Board of niiio finance group AG, Germany’s stock listed specialist for FinTech solutions in B2B robo advice and portfolio management systems. Michael has a degree in business administration of University of Bayreuth. 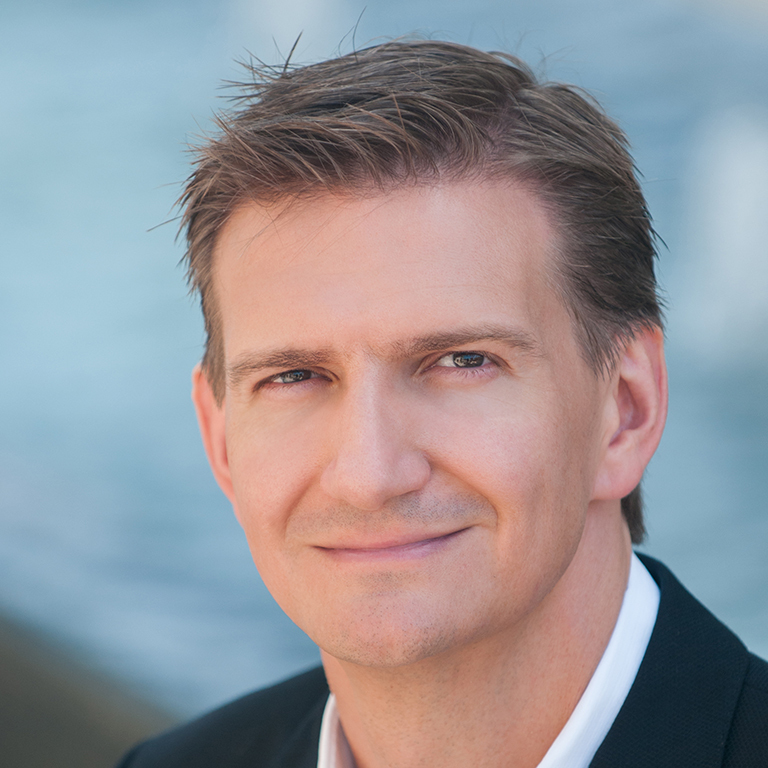 @Mellinghoff is an author of @TheFINTECHBook and member of the editorial board of The Journal of Digital Banking. Mohamed Nazri Omar was appointed as Managing Director/Chief Executive Officer of Danajamin Nasional Berhad (Danajamin), Malaysia’s first financial guarantee insurer on 1 May 2014. Prior to this, Nazri served as Director, Client Coverage. Nazri’s corporate career has been within the financial industry, particularly in corporate banking and capital markets. 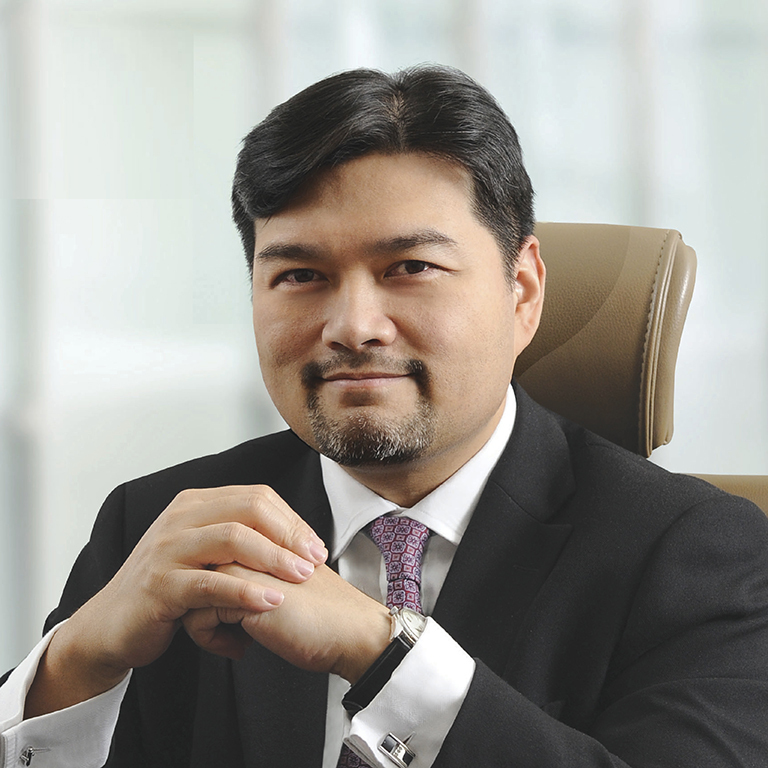 He started his career at Citibank Berhad and subsequently served in Macquarie Bank Limited as well as RHB Sakura Merchant Bankers Berhad (currently known as “RHB Investment Bank Berhad”). He was appointed as a member of the Investment Panel of Retirement Fund (Incorporated) Malaysia on 1 May 2016. Before joining Danajamin, Nazri served in several capacities while at Kuwait Finance House (Malaysia) Bhd, which included Director of Investment Banking and Head of Capital Markets and Advisory. Under these roles, he was responsible for the origination and structuring of shariah compliant financing transactions and providing project finance advisory. He was also one of the pioneer staff of Kuwait Finance House (Malaysia) Bhd and was primarily involved in the setting up of the bank’s Corporate and Investment Banking Division. Nazri holds a Bachelor of Arts Degree, majoring in Economics (Hons) and Government, from Cornell University, USA. 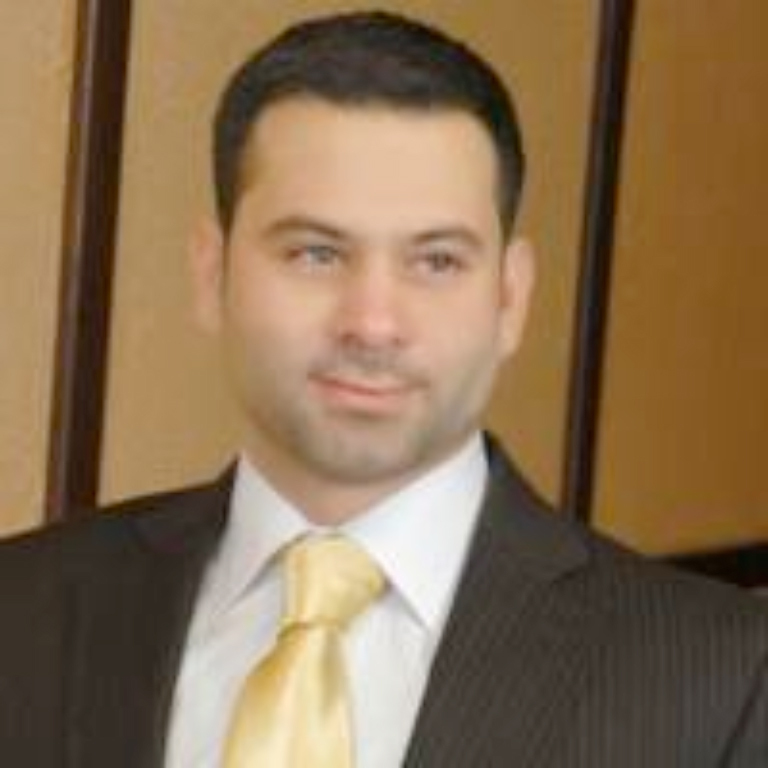 Mohammad has over 15 years of successful track record in Financial services; launching several products and businesses. His core areas of interest structuring Islamic Finance and Fintech solutions. He is a serial Intrapreneur, a futurist and the recipient of Global Islamic Finance Award for his role in innovation. 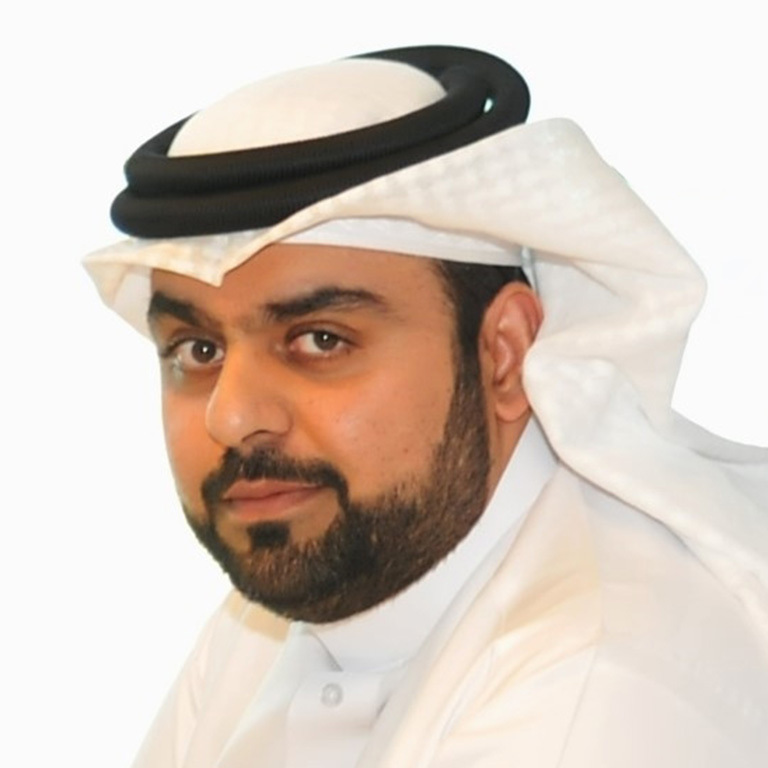 He is a board member of the HBS Club of GCC and the founding President of its Bahrain chapter. Currently he is the Vice Chairman of Islamic Banking Committee, Bahrain Association of Bankers. He also works closely with the various government entities in building a Fintech ecosystem. Mohammad spearheads the development and penetration of Islamic products and solutions at Gulf International Bank. Previously he spearheaded bank’s penetrate into the Corporate Banking segment and managed various bank-wide strategy implementation initiatives. During his career, Mohammad has worked at numerous large banks in the Middle East, Far East and South East Asia accumulating a diversified experience in the fields of Corporate and Investment Banking, Treasury and Retail Banking and Asset Management. Mohammed Ameen completed the memorization of the Qur’an in Arabic at the age of 15. He then completed his schooling through a correspondence college while studying traditional Islamic Studies under numerous scholars of repute in South Africa. He holds a qualification in Islamic Finance, Banking and Law; has completed Stanford University’s Corporate Venturing and Innovation program and has completed the CIFE™ (Certified Islamic Finance Executive) program from Ethica Institute of Islamic Finance. He entered the corporate financial services industry in 2007 in Islamic Banking and has since experienced various aspects of financial services including financial advisory in short and long term insurances and health care. While employed at a research institute, he was part of the team that brought the translation of the Qur’an into isiZulu back into print in South Africa after two decades. Together with his wife, he has also co-hosted a Radio Show on Radio Al-Ansaar, in Durban; South Africa. At the age of 30 he was appointed as Head of Shari’ah Banking at Standard Bank (the largest bank in Africa by Assets). Though the offering is in its infancy in Standard Bank South Africa, perhaps one of the most noticeable achievements was Standard Bank being the first bank in South Africa to adopt the Tahawwut ISDA Master Agreement under which a Shari’ah Compliant Forward Exchange Contract was launched. 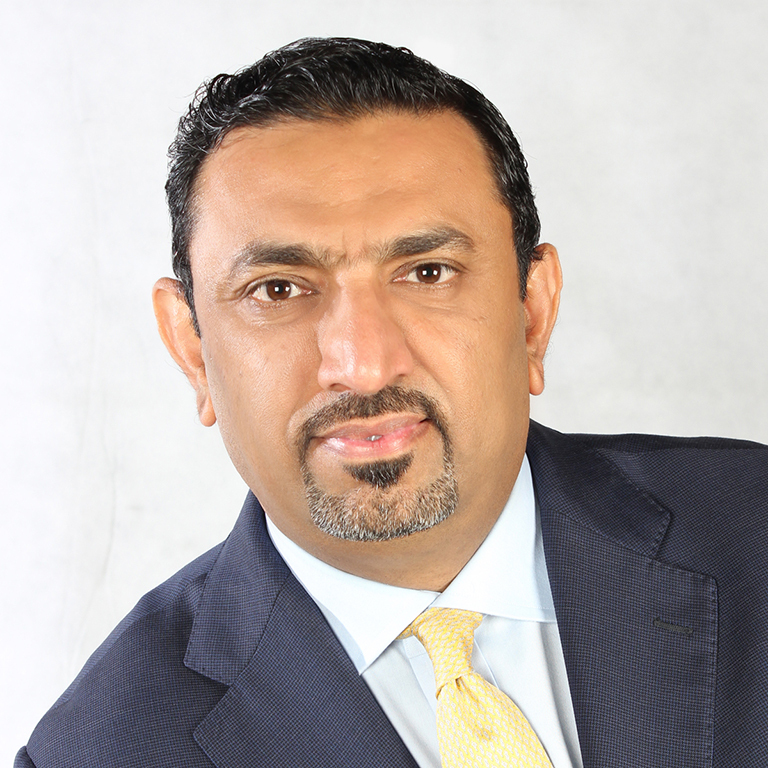 Mohammed Kateeb is an established leader, known for being results-driven, dynamic and highly entrepreneurial. He has a diverse experience in building businesses, teams and identifying and capitalizing on market opportunities for over 30 years in the USA, UK and the Middle East. 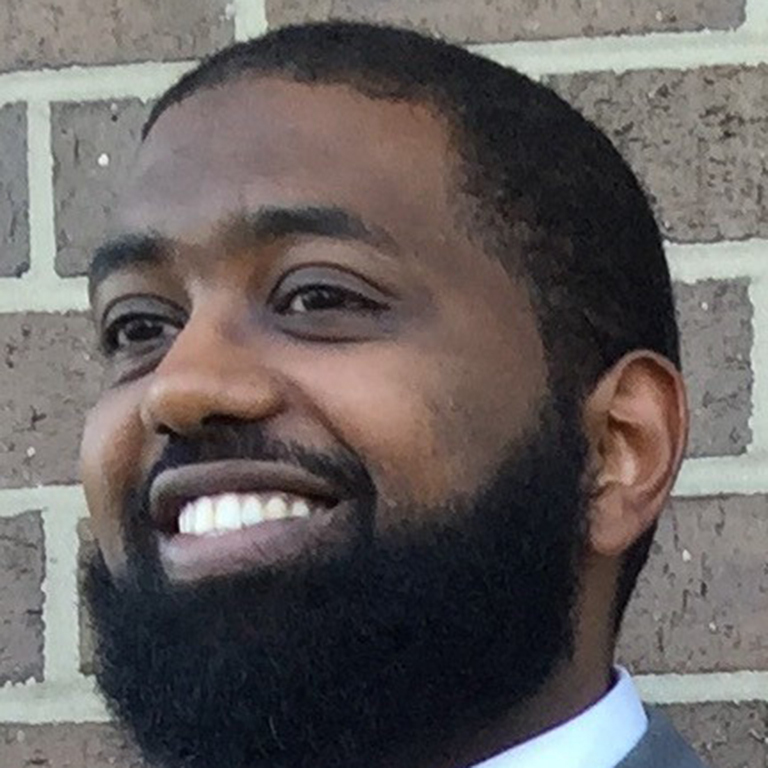 Before joining Path Solutions, Mohammed has spent 11 years as an executive with Microsoft. He is also known as a key contributor to the region Telecommunication, Media and Information Technology industry. Currently, Mohammed serves as member of the Board of Trustees of IRTI, an affiliate of the Islamic Development Bank Group (IDBG) to develop a technology-enabled Islamic financial services sector to foster Islamic financial inclusion. He was granted the prestigious 'Leadership Award 2017 in Information Technologies & Media' by ISFIN, and named twice among the 'Top 50 Most Influential Leaders Who Make the Islamic Economy' in 2016 and in 2015 in ISLAMICA 500. 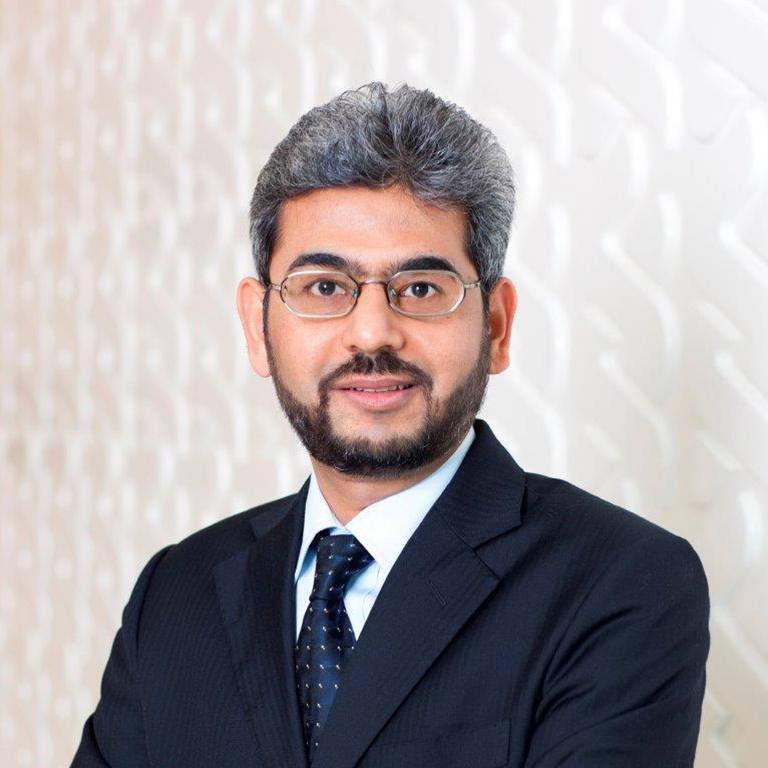 Mohammed was also recognized by IFFSA with the '2016 Honorary Leadership Award', named among the 'Top 10 CEOs in Enterprise Software' in the 2016/17 CEO Insight Global Awards, in addition to being selected 'Best Islamic Finance Technology CEO of the Year EMENA 2017' by Global Banking & Finance Review, as well as 'Islamic Finance Technology CEO of the Year 2015' by Business Worldwide magazine. Monem Salam President Saturna Sdn. Bhd. from the University of Texas: BA (Austin) and MBA (Dallas). Amana Mutual Funds Trust until moving to Kuala Lumpur in 2012 to oversee Saturna Sdn. Bhd. Mujtaba Khalid brings a diversified range of experience spanning government and private sector advisory, establishing effective governance frameworks, Islamic capital market products as well as conducting Islamic finance training and capacity building programs. Currently, he heads the Islamic Finance Center at the Bahrain Institute of Banking and Finance (BIBF). Mujtaba’s experience includes working for the UK based Islamic Finance Council where he was involved in developing the Islamic finance governance frameworks for central bank bodies, providing capacity building and training, structuring Islamic finance products for one of the UK’s largest credit unions, providing investment strategy for Islamic Relief International’s Waqf (trust) fund, research for the Scottish government on the viability of Sukuks to fund alternate energy projects among other work. He has also helped establish the Center of Islamic Finance at COMSATS Pakistan – one of Pakistan’s largest public sector universities. At COMSATS he was part of the team that organized Pakistan’s largest international Islamic finance conference. Academically, Mujtaba has a BSc (hons) from The London School of Economics and Political Science, MSc Investment Analysis from The University of Stirling. He also has three professional Islamic finance qualifications which include the CIMA Islamic Finance Diploma, Islamic Banking and Finance qualification from the State Bank of Pakistan and CIFP from INCEIF based in Malaysia. Mustafa is the Head of Islamic Finance for Thomson Reuters. He is responsible for leading the Islamic finance and Islamic markets business for the organization, providing knowledge solutions and bespoke services to government entities, multilateral organizations and leading financial institutions to support them in fulfilling their aspirations and executing their strategies in the Islamic markets space. These include the delivery of knowledge solutions, research, consulting services and market engagement. 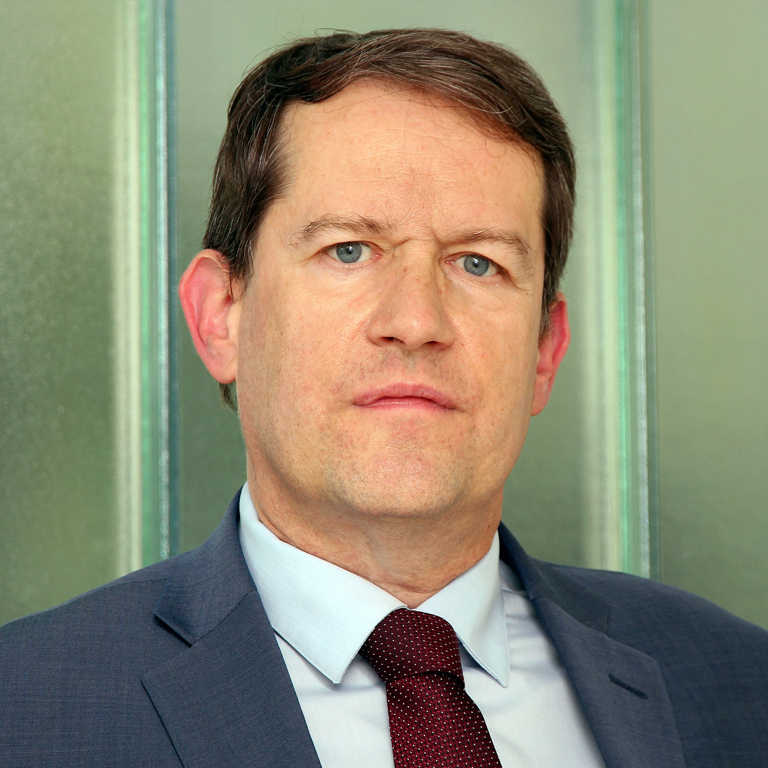 Peter Kruschel holds the position of Director in the International Directorate, Federal Financial Supervisory Authority, in Germany. Before he had a long career as head of division in supervising foreign banks with the Federal Financial Supervisory Authority; altogether he has experience of more than 20 years in banking supervision. 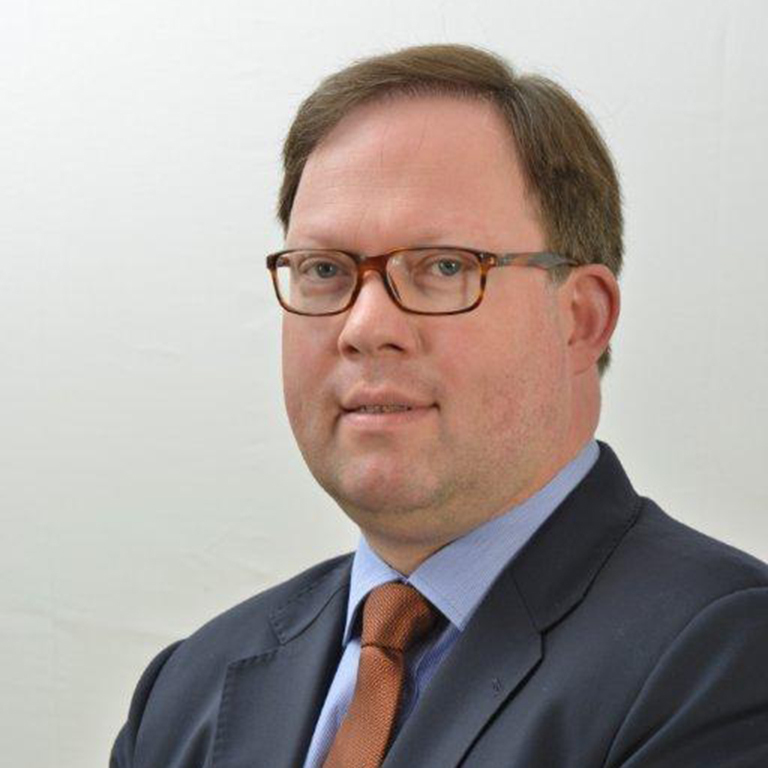 Before joining the Federal Financial Supervisory Authority, Mr. Kruschel had a career as public prosecutor as well as private lawyer. Raghu is the Head of Research at Kuwait Financial Center (Markaz), a leading asset management company based in Kuwait with AUM exceeding $3b. He is also the Managing Director of Marmore Mena Intelligence, a research subsidiary of Markaz. 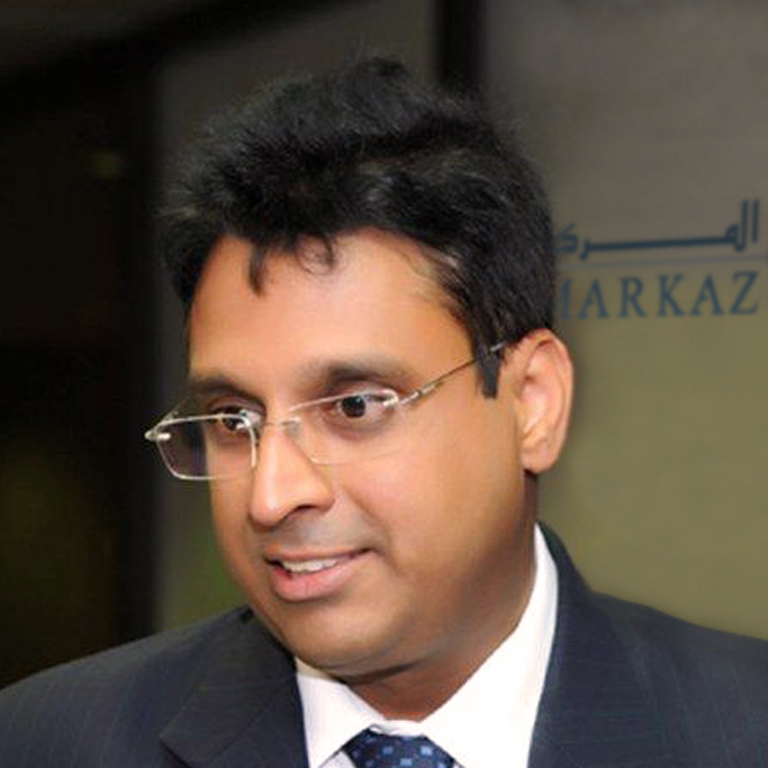 He leads the strategic research initiative at Markaz with specific focus on big picture research. He is a member (voting) of the Investment Advisory Committee at Markaz. Prior to this assignment, he was involved with a wealth management firm based in Bahrain as Director of Investment Management (2002-2006). He was advising Middle Eastern high net worth clients on asset allocation and money manager selection. In a career spanning more than 29 years, Raghu has dedicated nearly 18 years in the Gulf region (Riyadh, Bahrain and Kuwait). Prior to his stint in the Gulf region, Raghu worked with several institutions based in India including the largest mutual fund Unit Trust of India and the largest engineering consultancy MECON. Raghu has obtained CFA Charter from the CFA Institute, USA (2003) and is a certified Financial Risk Manager (FRM) from the Global Association for Risk Professionals, USA (2005). He is also a Fellow member of The Institute of Cost Accountants of India. He is associated with CFA Institute as a volunteer since 2003.. He was the founding board member of CFA Bahrain Society and founding President of CFA Kuwait Society. He is presently a member of Education Advisory Committee of CFA Institute. Raghu attended a 2-week Investment Management Workshop at Harvard Business School in 2007. Rajashekara Maiya has been with Infosys Finacle since 1998 and is responsible for charting Finacle’s product strategy and defining its product roadmap, strategic acquisitions, alliance partnerships, and client engagements. 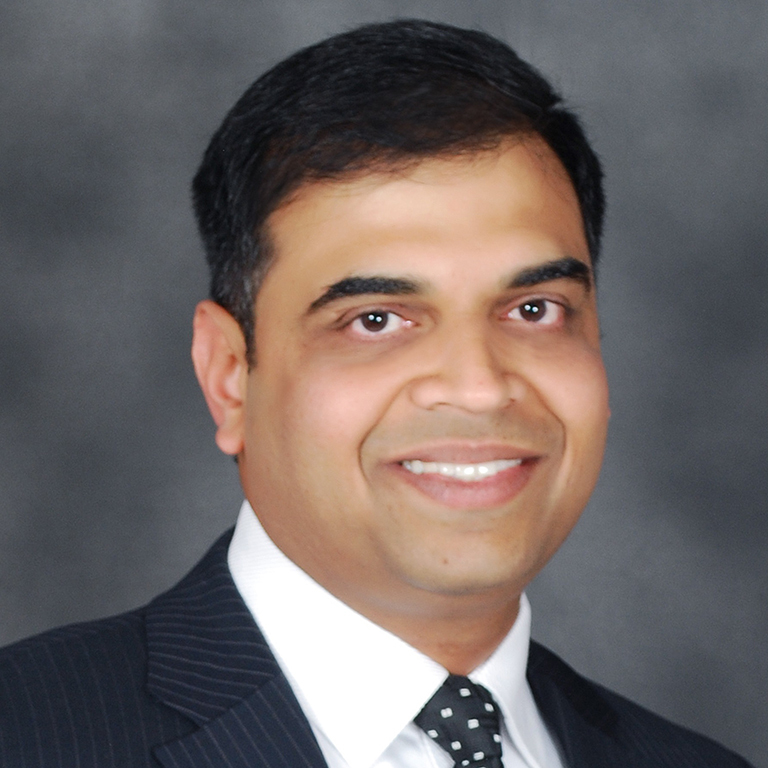 All through his 19 years at Infosys Finacle, he has played key roles across diverse areas including product management, solution architecture, implementation, and pre-sales, and specializes in core banking, risk management, regulations, and compliance. Maiya has been quoted by reputed publications such as Forbes, The Banker, Banking Technology, The Economist, Business Line, BBC Radio, Economic Times and is on the expert panel of the McKinsey Quarterly, a member of the XBRL Abstract Modelling Task Force (AMTF) Group; and an Associate member of the Institute of Chartered Accountants of India. Maiya holds several patents in the areas of partner portals, delivery channels, offline banking, and customer experience. Redha is leading the MENA Capital Markets and Market Intelligence team in Thomson Reuters covering Islamic finance, fixed income, wealth and asset management, equities and liquidity management in both developed and emerging markets. Redha also advises the issuers and investors on market conditions for raising capital and investment opportunities. Prior to joining Thomson Reuters, Redha worked at the Islamic International Rating Agency to look after financial institution and sovereign ratings. Before that, he worked at Arab bank in risk management. Redha holds a Master degree in Business Administration (MBA) from New York Institute of Technology and a bachelor degree in Finance from University of Louisiana at Lafayette, USA. Robin Amlôt, former CEO of CPI Financial, publisher of Islamic Business & Finance. The magazine has been continuously published for 12 years and is the longest-established international publication covering the Islamic financial sector. 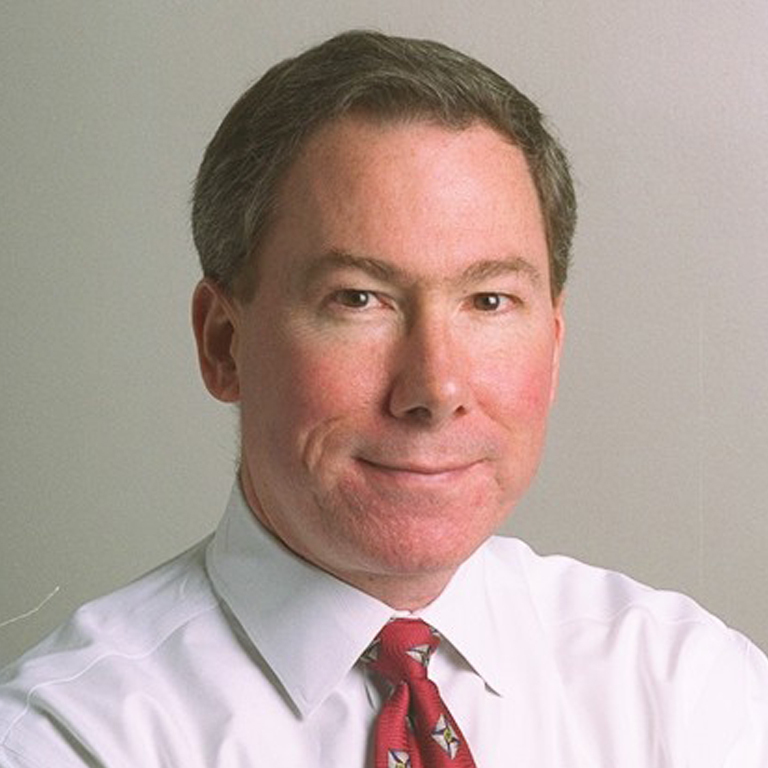 Robin has worked as an award-winning financial journalist for more than 30 years in print, radio, television and online. He was educated in England, has a B.A. (Politics) from Lancaster University and holds the Chartered Insurance Institute’s Financial Planning Certificate. CPI Financial’s editorial content and commitment to global news and analysis of the growth and development within the Islamic finance sector covers key Shari’ah-compliant markets and banking segments such as retail, commercial and investment banking, debt capital markets, treasury services, equities, commodities, alternative investments and wealth management. Dr. Saeeda Jaffar is a Managing Director with Alvarez & Marsal’s Dubai office, in the Performance Improvement and Financial Institutions Advisory Services Practice. 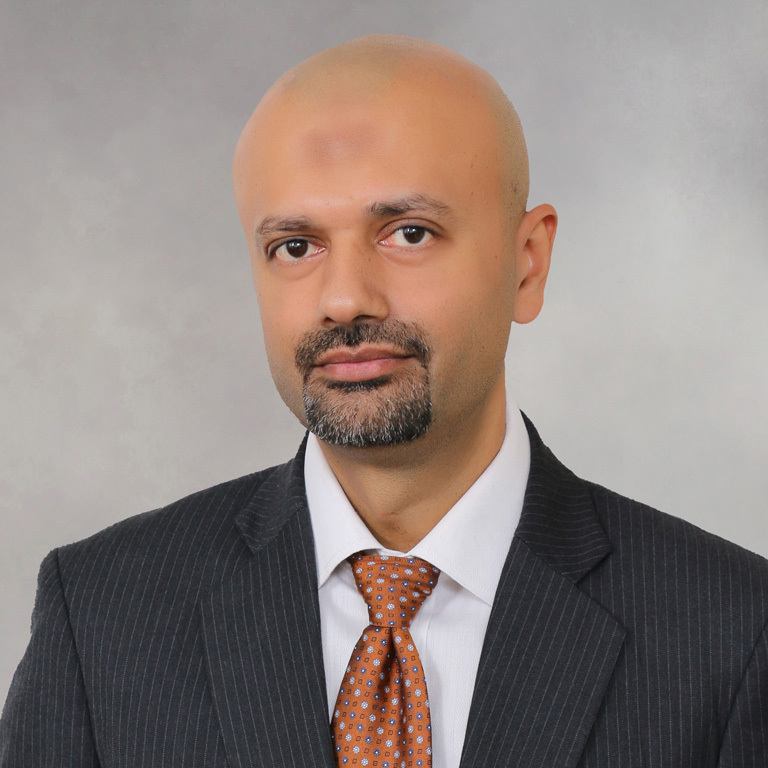 Dr. Jaffar brings more than 12 years of experience in management consulting and industry expertise, focusing on a wide range of strategic and performance-related issues in the financial services sector. 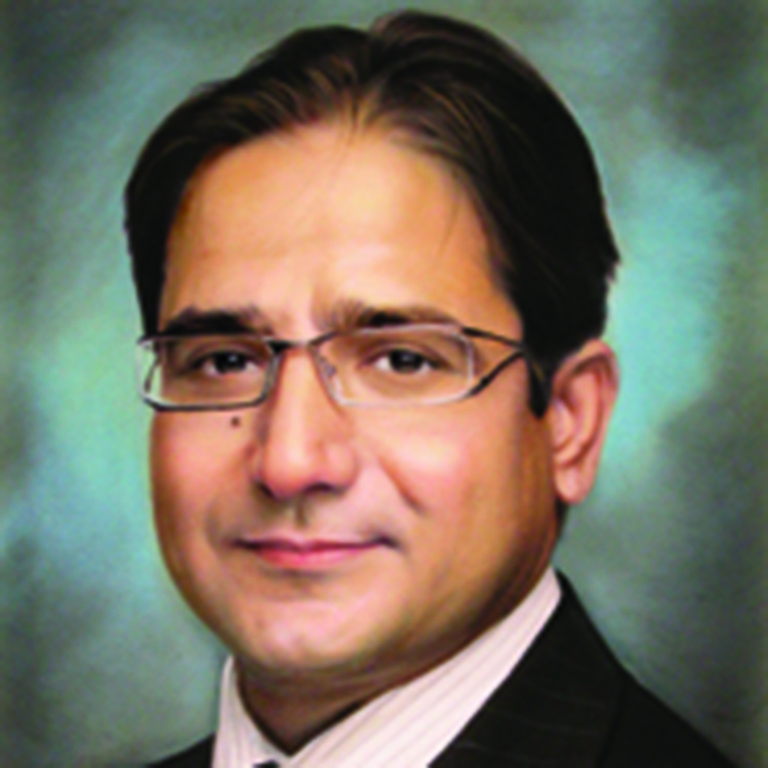 Dr. Jaffar has worked in the Middle East, Europe and the U.S. In her consulting roles, she has worked with clients across a range of industries, specializing in financial services including universal banks, private banks, investment banks, private equity firms, sovereign wealth funds, government institutions and family-owned businesses. Dr. Jaffar specializes in delivering pragmatic and practical solutions to strategic issues, to drive bottom-line impact and rapid results, delivered in a variety of client situations. Prior to joining Alvarez & Marsal, Dr. Jaffar was a Principal at Bain & Company, a leading global strategy management consulting firm. In this role, she served financial institutions in the GCC, and focused on corporate, retail, wholesale and digital banking strategy, cost reduction and sales boost programs, performance turn-around, process optimization, customer experience enhancement, post-merger integration (PMI), international expansion and operating model design and commercial due diligences. Prior to that, she was with McKinsey and Company, serving clients across the U.S., Europe and the GCC. Dr. Jaffar earned a bachelor’s degree in biomedical engineering from Boston University, where she was the valedictorian, and earned a master's degree and a doctorate in chemical engineering from MIT. She was also an EDAAD Scholar, HHS. Dr. Jaffar was a non-executive board member in Ishraq, a hospitality company. Salam is a Director in Oracle’s Financial Services Global Business Unit focusing on Islamic Core Banking & Digital Transformation Programs. In this position he is responsible for product marketing of Oracle Islamic Core Transformation Program. He has over 12 years of experience working with leading global financial services companies in Europe, Middle East, Africa and South East Asian markets and has first-hand knowledge of Banking Industry practices, regulations & market dynamics .Previously he worked for Path Solutions & Temenos in various software implementation, product management and presales roles. 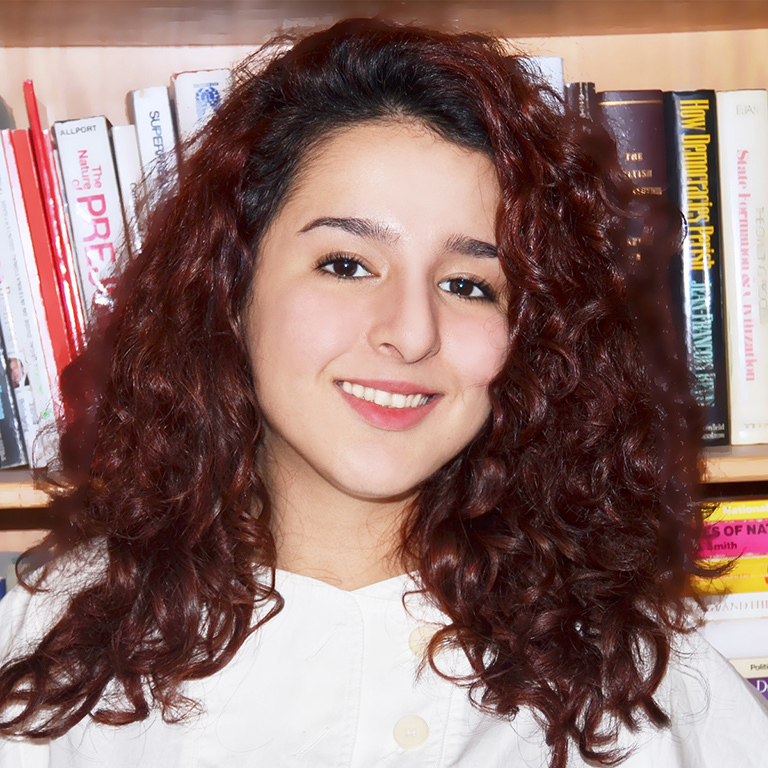 Salam holds a Bachelors degree in Banking/Finance from American University of Beirut. Mr Serdar Güner joined the DFSA as Senior Manager in the Supervision Division in September 2010. He became a Director in 2013 after an Associate Director in 2012. 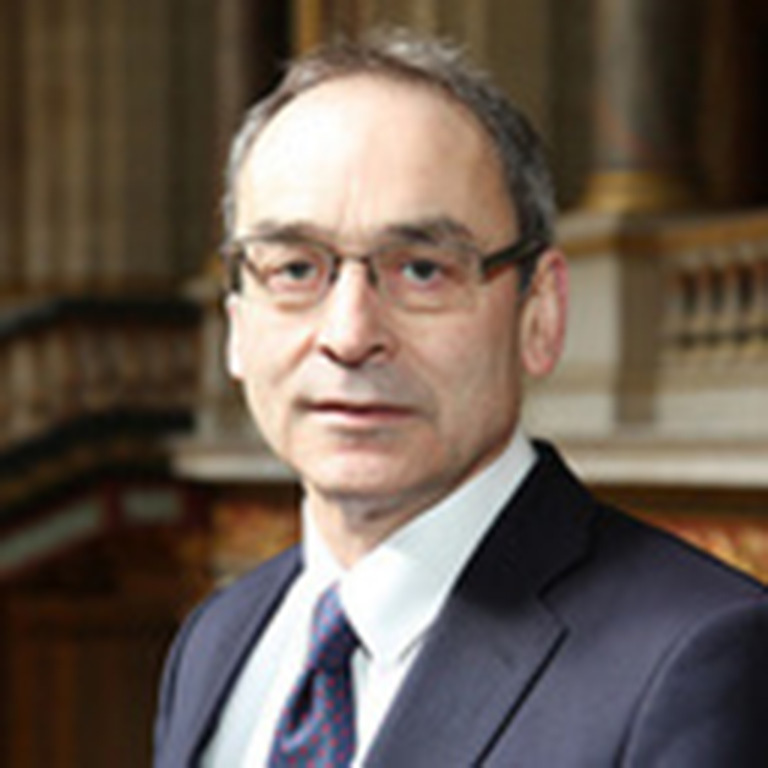 Following responsibilities and Directorship roles spanning Prudential Risk, Market Conduct and Pooled Supervision, he now leads a team responsible for the supervision of Financial Technology Firms and Cyber Risk, with the overarching responsibility of Governance and Operational Risk in the Centre. After graduating from Brooklyn College in New York with a Degree and Masters in Economics, Mr Güner joined the New York State Banking Department. His primary responsibilities included on and offsite examinations of the major money-centre banks, savings institutions and credit unions. He was assigned to the Tokyo offices of the Department in 1998 where he was responsible for both on and offsite reviews and risk assessments of complex derivatives, one-off structured products and instruments newly introduced in the market within the Asia Pacific region. He joined the Department’s London offices in 2004 focusing on the same banks’ European and South American operations while taking on responsibility of retail-based banking operations of Article XII companies and large money centre institutions. In 2007, Mr Güner joined the Qatar Financial Centre Regulatory Authority as an Associate Director within the Supervision Department, responsible for the operations of banks, investment banks, Islamic institutions and branches in the Centre. In addition to a Master’s Degree in Economics from Brooklyn College, Mr Güner has a post-graduate diploma in Islamic Banking from IIBI and International Diplomas in Anti-Money Laundering and Financial Crime Prevention from ICA. He is a Certified Fraud Examiner, (CFE-USA), and a Certified Anti-Money Laundering Specialist (CAMS) and has a Certificate in Islamic Banking from CISI. Mr Güner also holds a certificate on Fintech: Future Commerce from Massachusetts Institute of Technology. 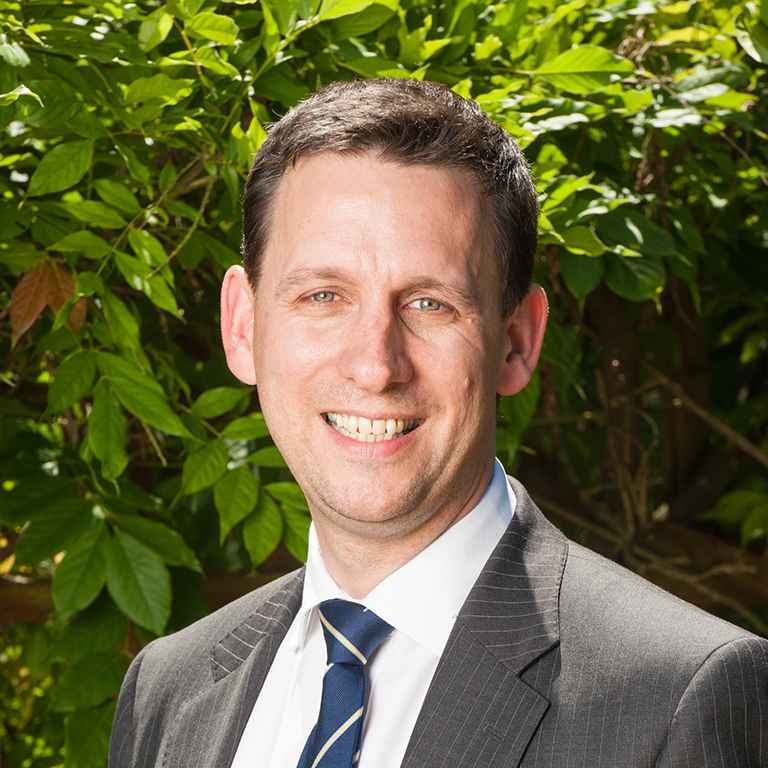 Stuart is a Chartered Fellow of the Chartered Institute for Securities and Investments (CISI) and a qualified Financial Planner with the Personal Finance Society. 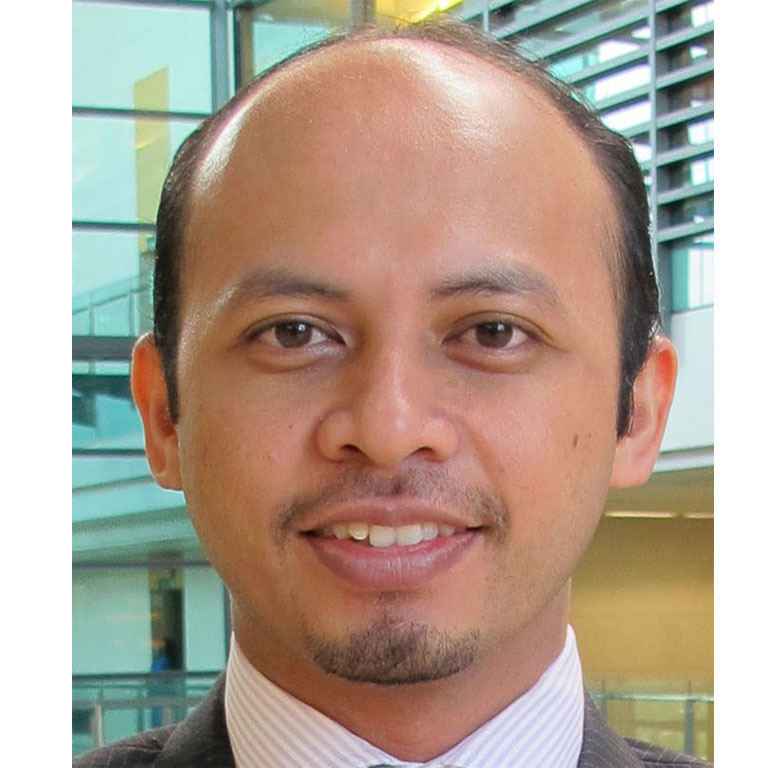 He holds the Islamic Finance Qualification and is an External Specialist Advisor to the CISI on Islamic Finance. Over recent years, he has spoken at many events in the UK, Europe, Middle East and Far East, including the World Islamic Banking Conference (WIBC) and The Responsible Finance and Investment Summit Conference (RFI), focusing on topics such as the integration of ethical and Islamic finance, the role responsible finance has in sustainable investing and the development of technology in this sector. He contributes to many papers regularly and has written sections for books in Europe and Malaysia. 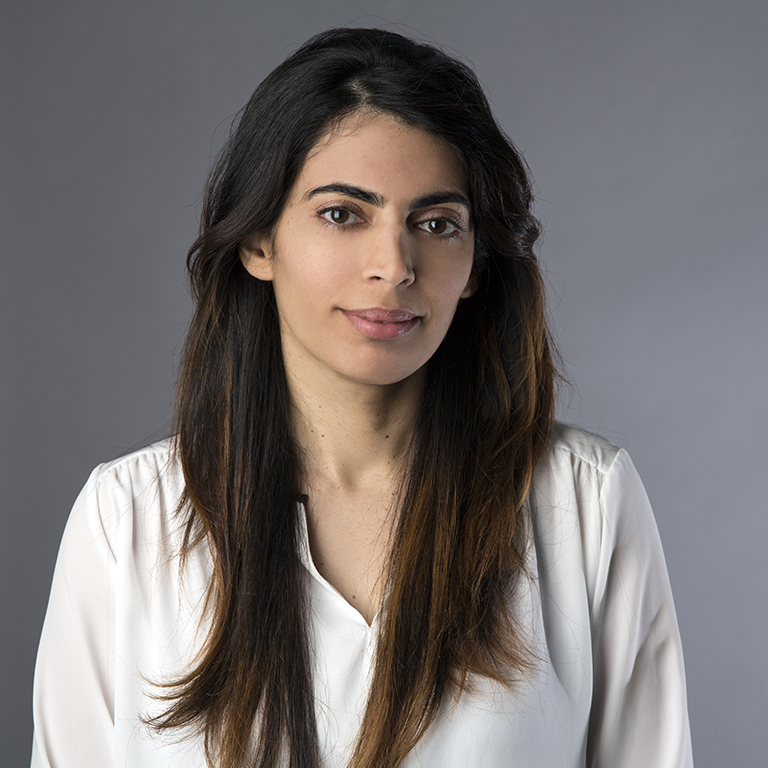 Subhi is the Communications Director of Zileej, a design and innovation company developing brands, products, and creative experiences. 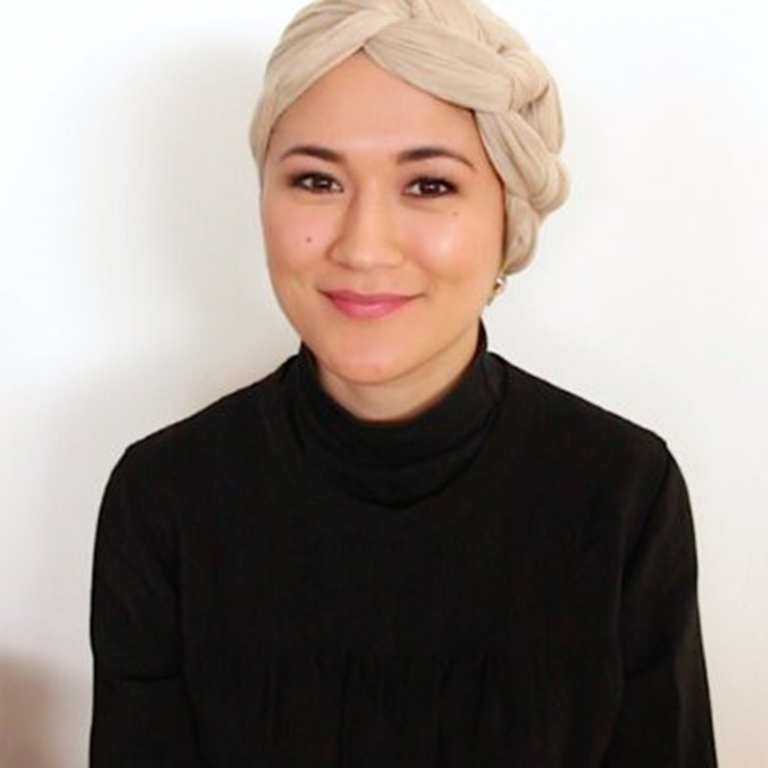 She has a background in psychology, and co-runs The Modest Bride, with over 50 thousand followers on social media. Mr. Sulaiman Al-Sultan, Director, Corporate Support, Islamic Corporation for the Development of the Private Sector (ICD), Islamic Development Bank (IDB) Group. 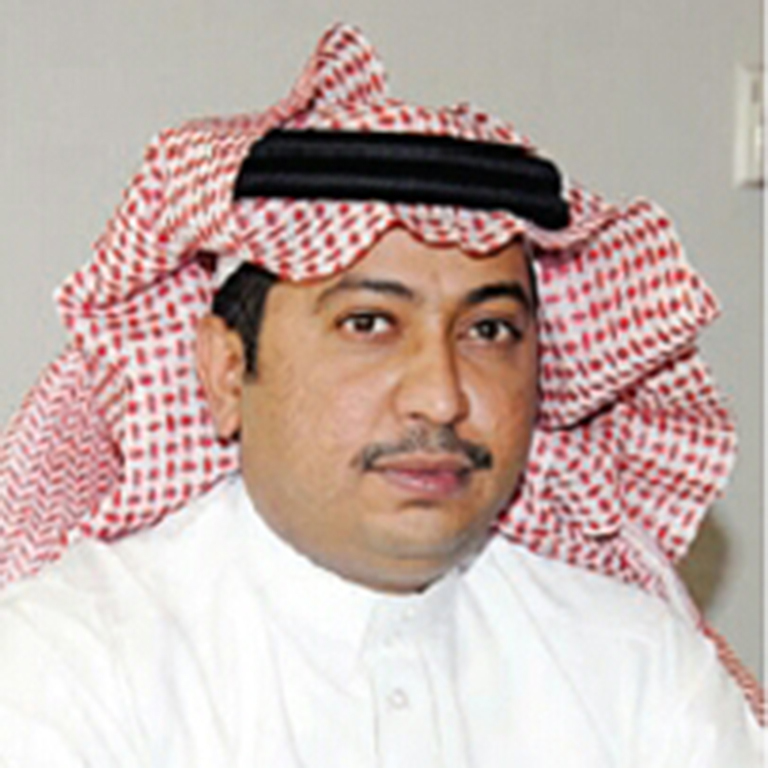 Mr. Sulaiman Al-Sultan has a 20 years’ experience in well-reputed international organizations such as BAE and EY. His experience is a combination of both HR leadership and HR advisory services. He has an in-depth exposure to a number of industries, including but not limited to, defense and aerospace, professional service, construction and real estate, gas and oil government. Plus he has obtained BA degree, he has completed a number of post graduate studies, mainly in management from Lancaster University and compute information system from Greenwich UK. He is CIPD qualified, and certified as psychometrics assessor. Dr. Yahia was born in Cairo, Egypt and immigrated to the US in 1968. He studied Chemical Engineering (B.S. Cairo University, M.S. & Ph.D. University of Wisconsin, Madison) and International Finance (MA – University of Texas, Dallas.) He authored two books, numerous papers and many patents. The most world acclaimed book was published first by John Wiley & Sons, Inc. in January 2010: The Art of Islamic Banking and Finance. The book was on Amazon.com best sellers’ list in its category, two printings (over 10,000 Copies) were sold out and an expanded Second Edition: The Art of RF (Riba Free) Islamic Banking and Finance was released in November 2014. The book presents pioneering research results about many topics including Prohibition of Riba/Ribit in all Abrahamic Faiths, the Early warning Discipline of Detecting Price Bubbles and much other hands-on practical operating experience while operating Bank of Whittier Riba Free since 2003. The Turkish Language edition was launched in 2016. Dr. Abdul-Rahman invested 18 years (1986 – 2003) in the Investment Banking industry with CitiGroup / Smith Barney where he started (1988) and co-managed the first ever Shari’aa compliant stock portfolio that achieved superior performance and was a prelude to the Dow Jones Islamic Index. 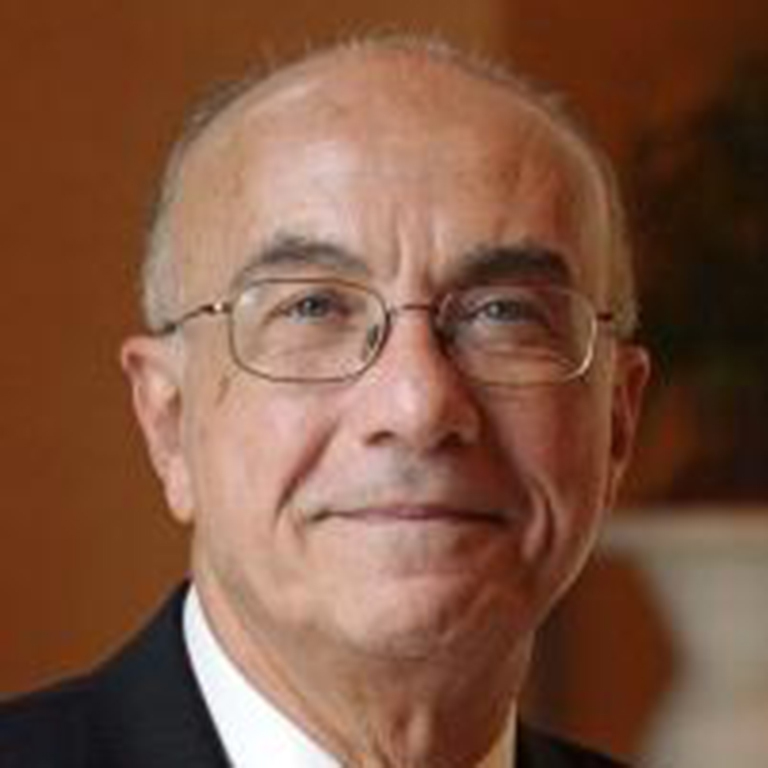 Dr. Yahia is known as the Father of Islamic banking in North America. 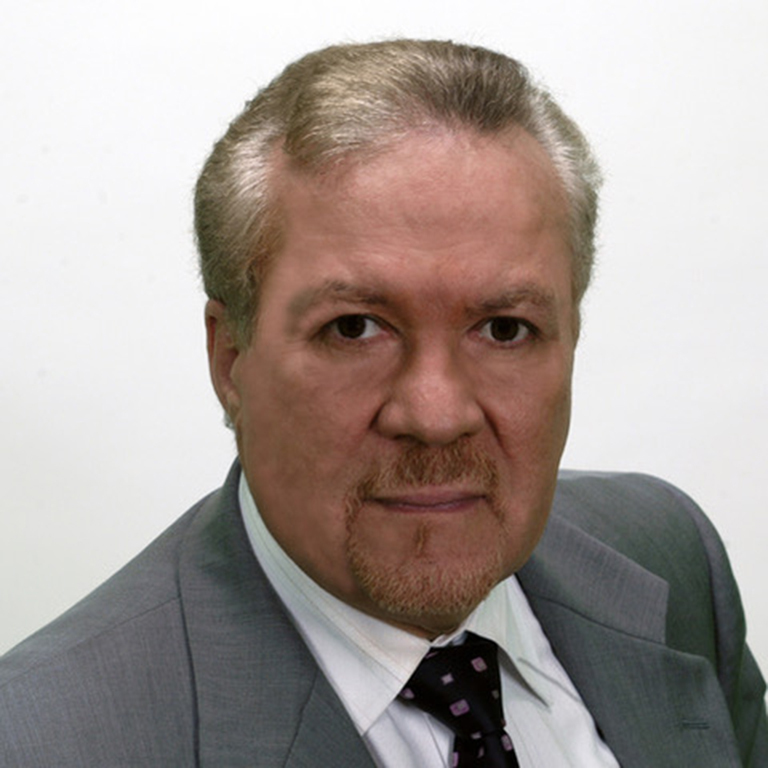 He started “American Finance House – LARIBA” in 1987. In addition, the shareholders also own the first full service RF (Riba-Free) National Bank in America: LARIBA Bank of Whittier, NA (1998.) The LARIBA effort - capital and assets – are from the American community. LARIBA and LARIBA Bank of Whittier, serving all 50 states’ banking and financial needs, have proven that RF (Riba-Free) banking delivers superior results as it was tested in the 2008 meltdown. Please visit: www.LARIBA.com and www.WhittierBank.com. LARIBA, under Dr. Yahia’s leadership, was the first company ever in the US to operate RF (Riba Free) a Riba Free Bank and to issue RF (Islamic finance) asset-based mortgage bonds (Sukuk) in the US with Fannie Mae and in Singapore with MUIS. He serves as a member of a prestigious jury (in 2010, 2012, 2014 and 2016) to elect the best Islamic Banker in the world to receive the King of Malaysia “Malaysian Global Royal Award in Islamic Finance”. He is a prolific Imam, speaker, lecturer and author of papers on RF (Riba-Free) banking & finance throughout the world. He was invited to present on RF (Riba Free) banking and finance in the US, Canada, United Kingdom, South Africa, Switzerland, Germany, Malaysia, Thailand, Singapore, Kazakhstan, India, Trinidad, Argentina, Saudi Arabia, Turkey, Lebanon and Egypt. Dr. Yahia is a distinguished Imam and Community leader in North America since 1968. He participated in the start-up and operation of many Islamic Centers and Schools in the US and Canada. He was an invited Jum’aa Imam in most US cities and in Canada, India, Singapore, South Africa, Switzerland, Thailand, Turkey and the UK. Please visit his site: www.Islam-In-America.com. Dr. Yahia spent 15 years in the Oil Industry in Production, Engineering, Corporate Strategic Planning and Finance in a major American Oil Company and refineries. Islamic economy and Islamic culture. She has many years’ experience working in multinational enterprise software companies. 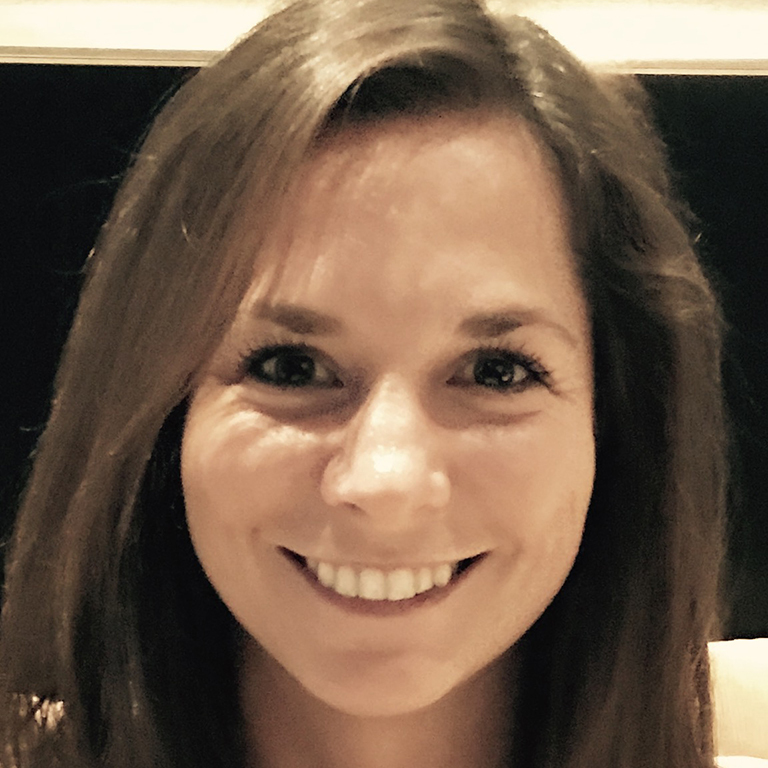 As a member of the Darktrace team; Elizabeth works worldwide with a range of large companies to deliver and advise on Cyber defense solutions. Kebbie Sebastian is the Managing Director of Penser, a financial technology advisory firm focused on payments and digital banking. Based in London, UK, Penser advises leading private equity / venture capital investors and global corporations on growth strategy, due diligence and product development. 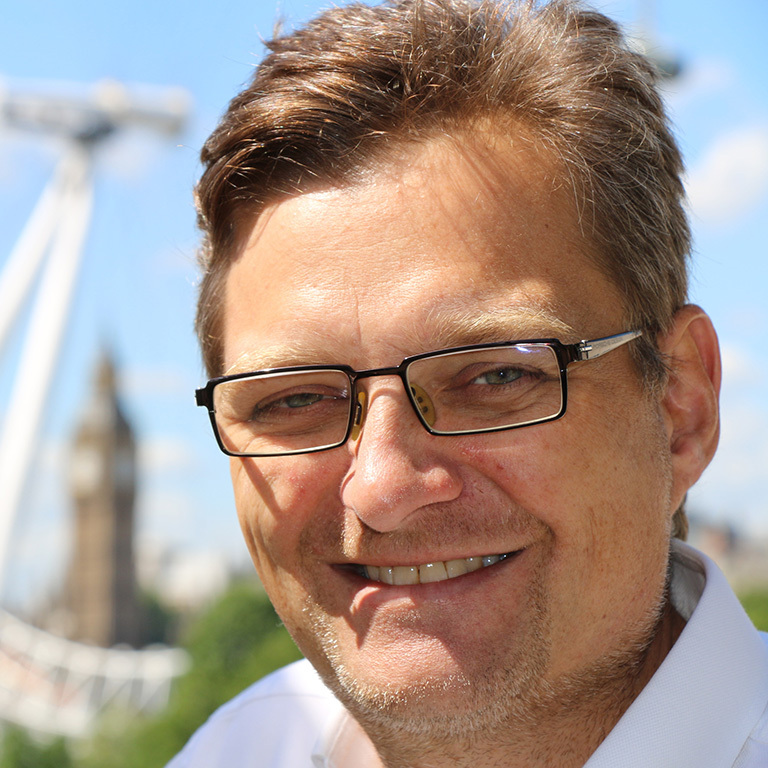 Previously he led Global Product Development at Barclays and ran PayPal's UK Financial Products business. He holds an MBA from the University of Virginia’s Darden School of Business, USA. 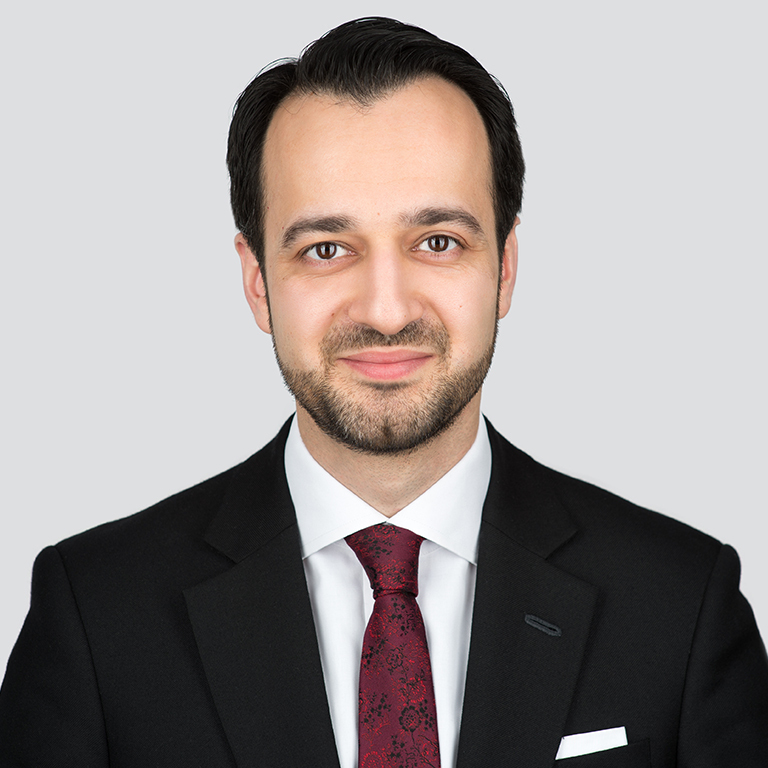 Ammar Radhi is the head of strategy and special projects and is responsible for leading the global Islamic finance business for the Thomson Reuters group. He focuses on providing knowledge and information services to governments and businesses to execute their strategies related to Islamic finance and green & sustainable initiatives. His focus in Thomson Reuters has been the intersection of technology, financial services, media and intelligence to produce actionable results across the Islamic markets from high street Sukuk to main street SMEs. 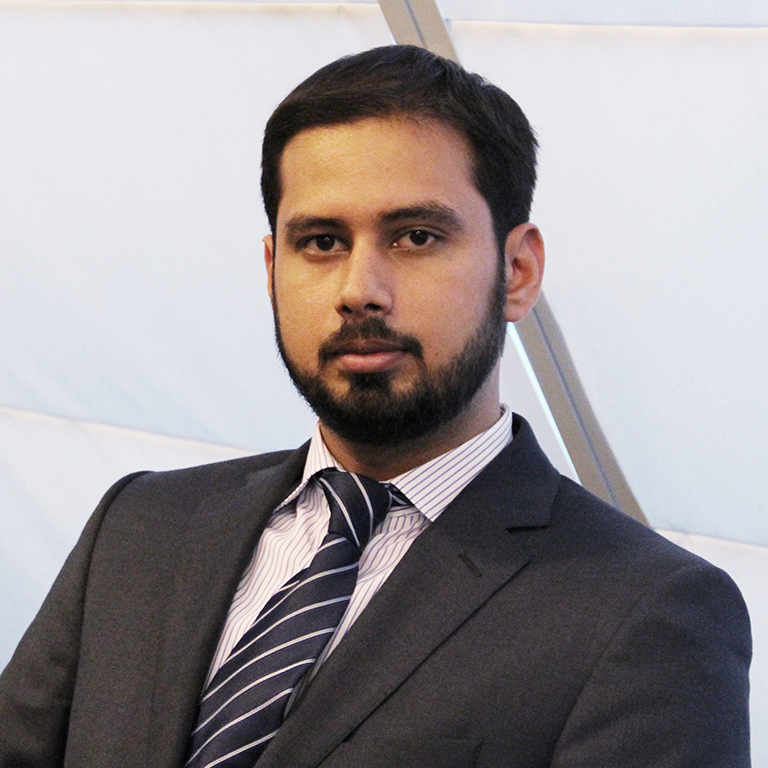 Ammar also specialises in emerging markets and developing economies. He works on a wide variety of social science disciplines ranging from Banking, Islamic Finance, Economics, Marketing and Business Management. His work on Islamic finance focuses on providing the industry with new opportunities for progressive growth across both financial sectors and asset classes in emerging and frontier markets. He has developed and led exceptional projects for a wide array of financial and corporate stakeholders such as governments and large financial institutions in the Middle East, North Africa, South East Asia and North America. Prior to joining Thomson Reuters, Ammar was a leading consultant in the Gulf Growth Capital Fund at Investcorp, responsible for investment intelligence and research on growth companies in the GCC. Professor Humayon Dar is Executive Chairman of HD-Edbiz Group of Companies, and Founding Chairman of Global Islamic Finance Awards (GIFA), Islamic Retail Banking Awards (IRBA) and Global Good Governance Awards (3G Awards). He is a leading spokesman for the Islamic financial services industry, and has played lead roles in a number of global initiatives for the development of Islamic finance. He is Editor-in-Chief of Islamic Finance Review (ISFIRE) – a quarterly magazine published by Edbiz Corporation from London. Professor Dar holds a BSc (Hons) and MSc (both in Islamic Economics) from International Islamic University in Islamabad, where he studied with a number of top Islamic jurists and Muslim thinkers. He also has an MPhil and PhD (both in Economics) from Cambridge University, where he conducted research on Islamic finance. His post-doctoral research has focused exclusively on Islamic economics, banking and finance. His BoD memberships include Finance Accreditation Agency, setup by Bank Negara Malaysia and Securities Commission Malaysia. He has sat on Shari’a Boards of several institutions, including Hong Leong Islamic Bank, Allianz Global Investors, Shari’a UMEX and many more. He also sits on Shari’a Board of Abu Dhabi Commercial Bank (ADCB). As a member of Faith Investment Panel of Arabesque, a London-based asset manager, he continues to offer Shari'a advisory services related with asset management operations. Shariq is a seasoned professional with diversified business and IT digital transformation experience across 5 continents (16 years in the U.K.) based on the core FinTech ecosystem. His core competencies include direction setting, innovation and customer journey development, strategy development, operating model, cost optimization through the use of technology, vendor management and governance. Shariq has previously served as the Head of Strategy & Digital Transformation at Gulf Bank and prior to that he was a Director at Ernst & Young, UK. 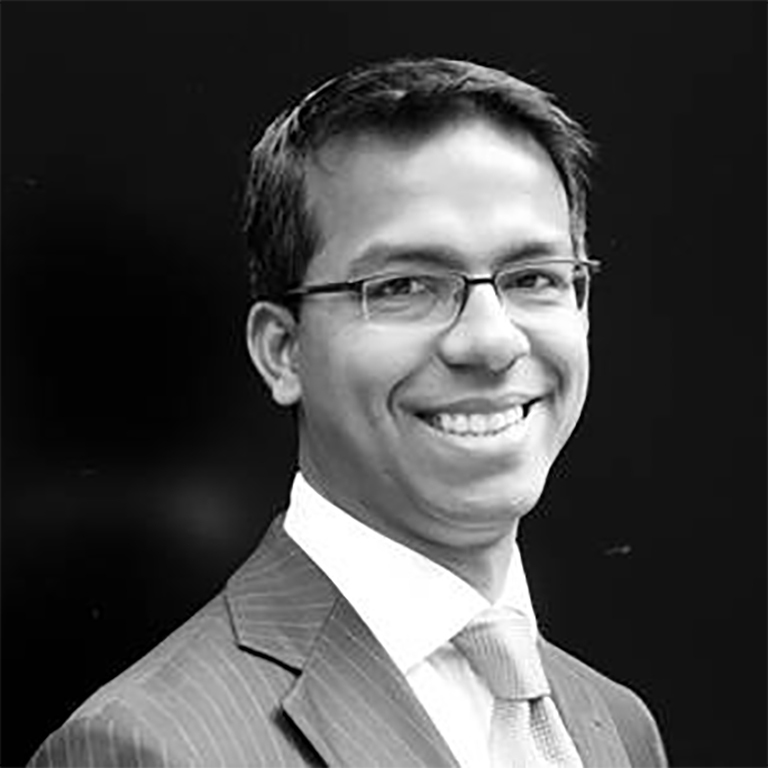 Shariq has worked with senior stakeholders as strategic advisor focused on 'change the bank' and 'grow the bank' agenda (North America and Europe) providing business and technical insights and strong stakeholder management capability. Shariq has been involved in more than 10 transformation and Innovation programs over 20 years. 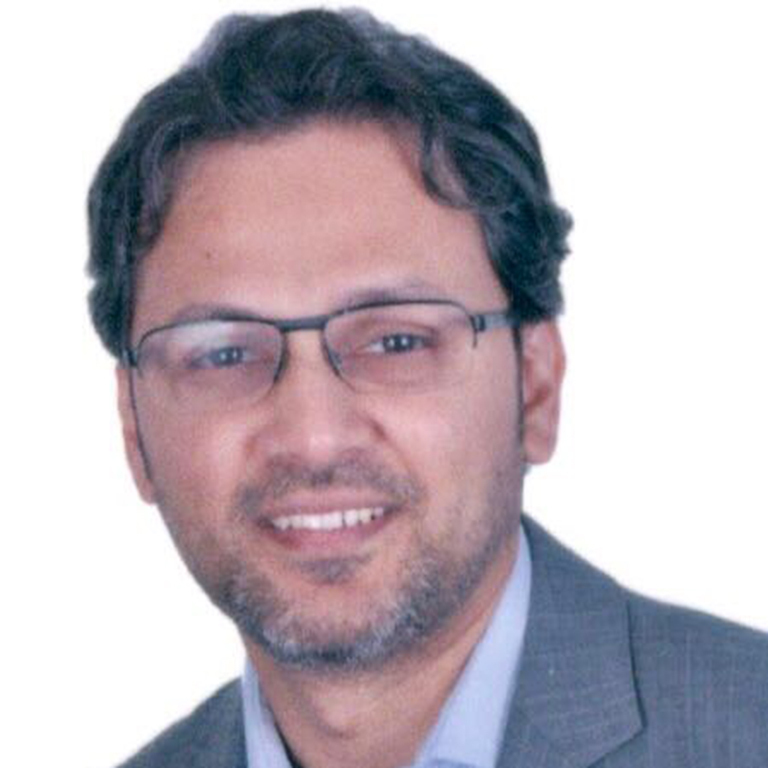 Dr Aly Khorshid has been involved with Islamic financial institutions for over 2 decades; expert on Shariah compliant finance within the Islamic law, Waqf family “Trust”, inheritance, capital market products, Fund Structure for global investment, Project finance, Due diligence, alternative finance and Islamic contracts. 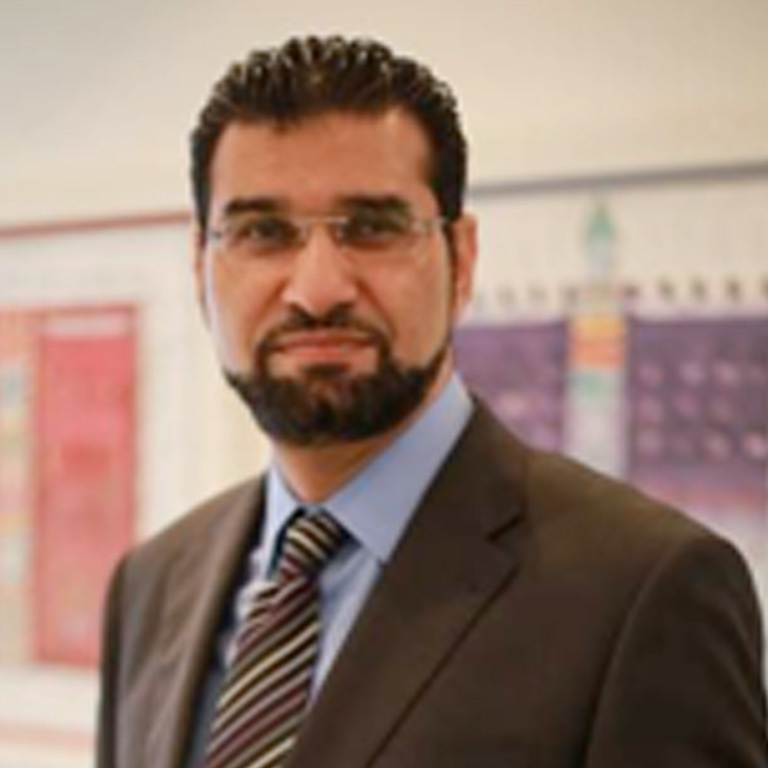 Dr Aly Khorshid Shari’ah board member in selected Islamic institutions, also served as wealth manager with several bank’s, have obtained his PhD on Islamic studies and Islamic economics from the University of Leeds (UK), studied Fiqh and Shariah at Al-Azhar University (Egypt), Master degree in managements (UK). His Publications includes, Islamic Insurance “A modern Approach to Islamic Banking” 2004, the Encyclopaedia of Islamic finance 2008, Dictionary of Islamic Finance 2011, “A Tender Power” a Novel elucidating Islamic finance to a layman 2012, and Corporate Governance in Islamic Banks. Joint author of several publications and many articles published on Islamic finance. A trustee member of Academy UK, fellow at ICMA centre Henley business school University of Reading UK, Diploma course director IFBL Luxemburg, Professor (Visiting) IBS at UTM University Malaysia, former visiting lecturer at El-Azhar University ”Egypt”, visiting professor at Nile University Egypt, Dean of Business and economic school at LondonUniversity London UK. He was nominated for King Fisal International prize 2006, runner-up for Mubarak Prize on Islamic studies 2010; A regular speaker on Islamic finance issues at conferences and TV. Ron leads on Islamic finance policy for Her Majesty’s Treasury, and advises ministers and senior officials on the UK’s financial services relationship with Africa and the Middle East. 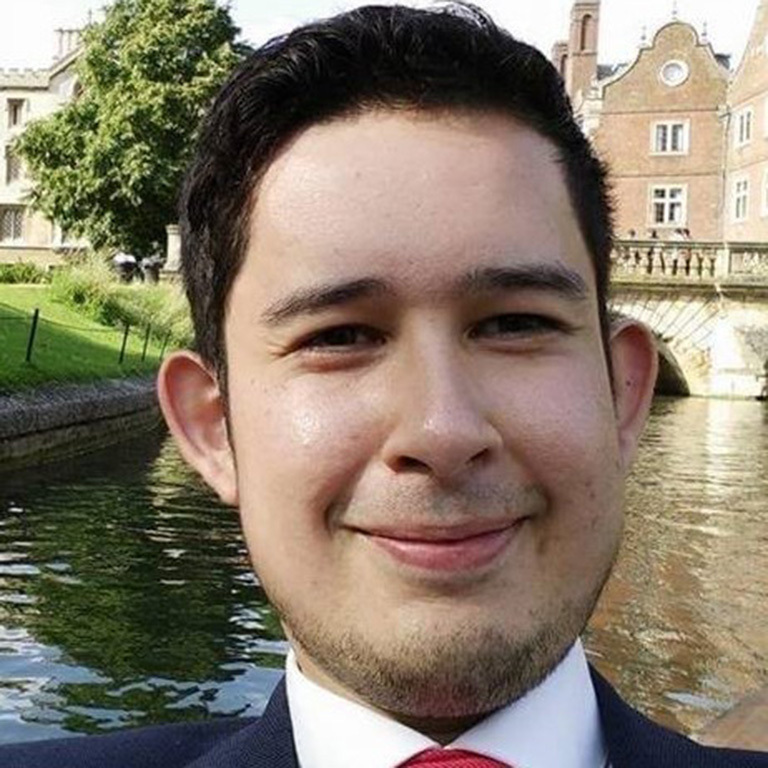 He joined HM Treasury in 2015 as an economist in the EU Economic Policy team, where he covered economic analysis of the core Euro Area, EFTA, the Western Balkans and policy on EU enlargement. Before joining the Treasury, Ron worked for Allianz UK developing usage-based insurance models with Telematics. He holds a MA in Politics and Economics from the University of Glasgow. 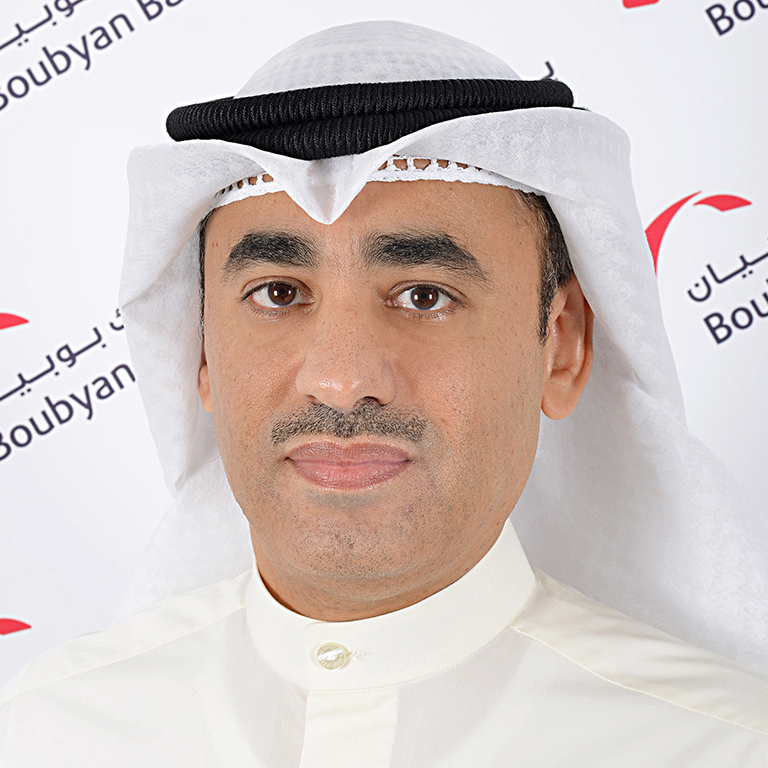 Mr. Al-Tuwaijri joined Boubyan Bank in December 2011 and has more than 29 years of banking experience, including 23 years at NBK. During his time with NBK, he held different leadership roles in retail banking in Kuwait and London, where his last position was the Deputy General Manager - Consumer Banking Group. 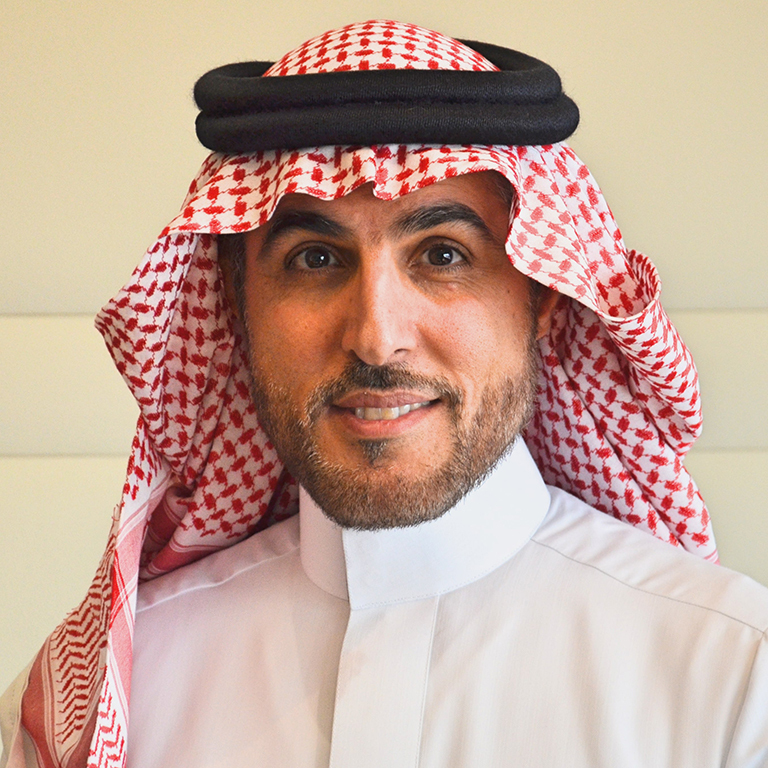 Mr. Al-Tuwaijri got his bachelor’s degree in Finance from Kuwait University, and attended several executive development programs at Harvard Business School, INSEAD, and other reputable institutions.